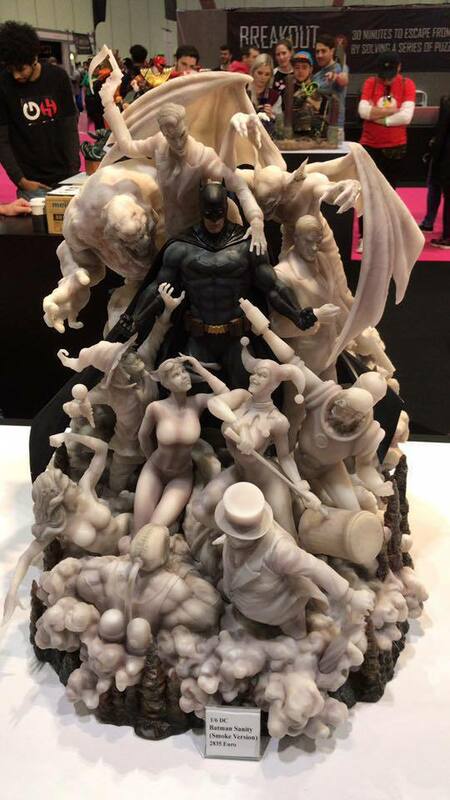 collectors. 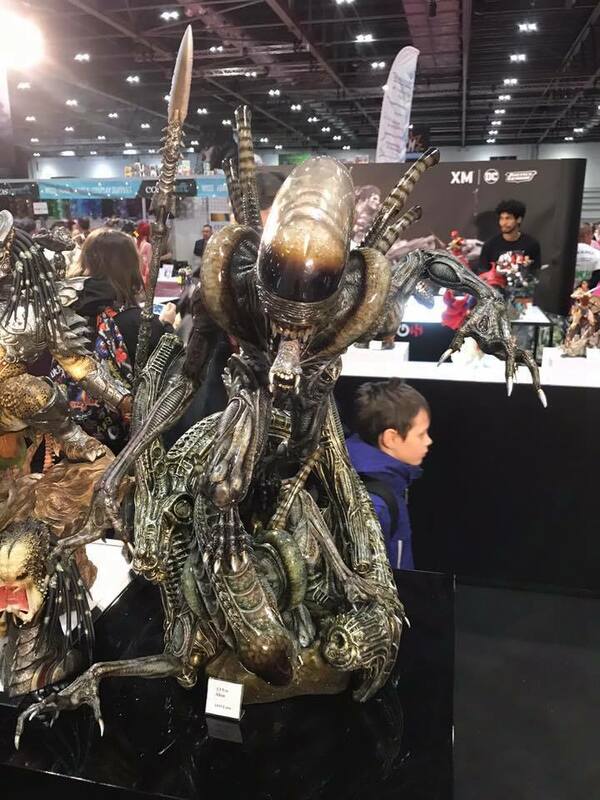 We are not alone in London! 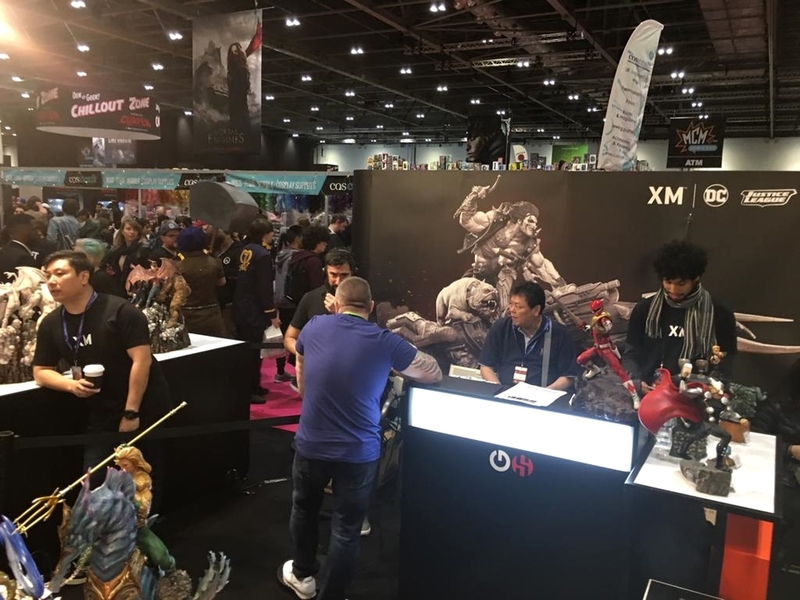 At our side we are supported by Bryan, Clair and Min from XM Studios, welcome! 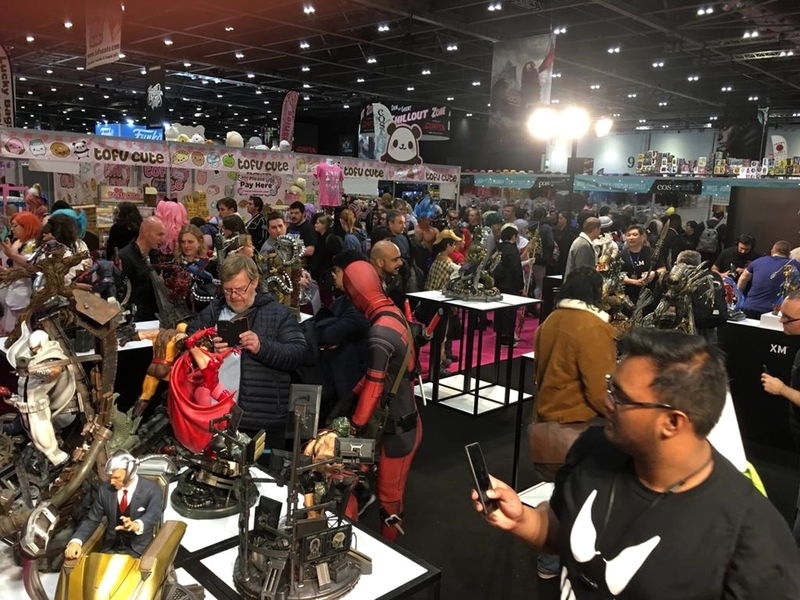 destination event to celebrate all things pop-culture, it is not to be missed by any geek, nerd, cosplayer, or fan boy and girl! 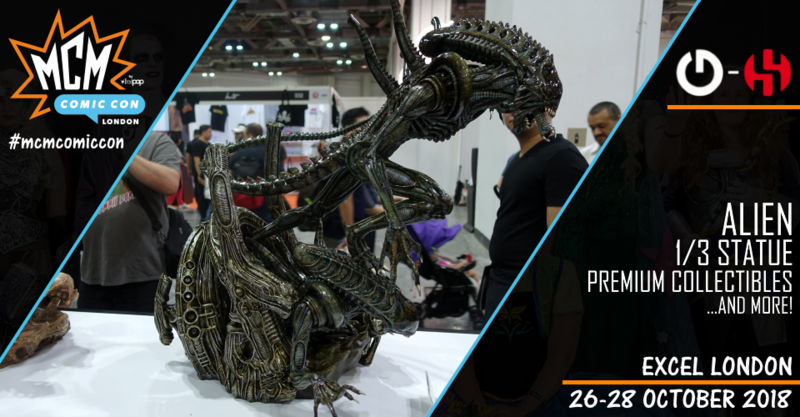 Friday, October 26th to Sunday, October 28th. 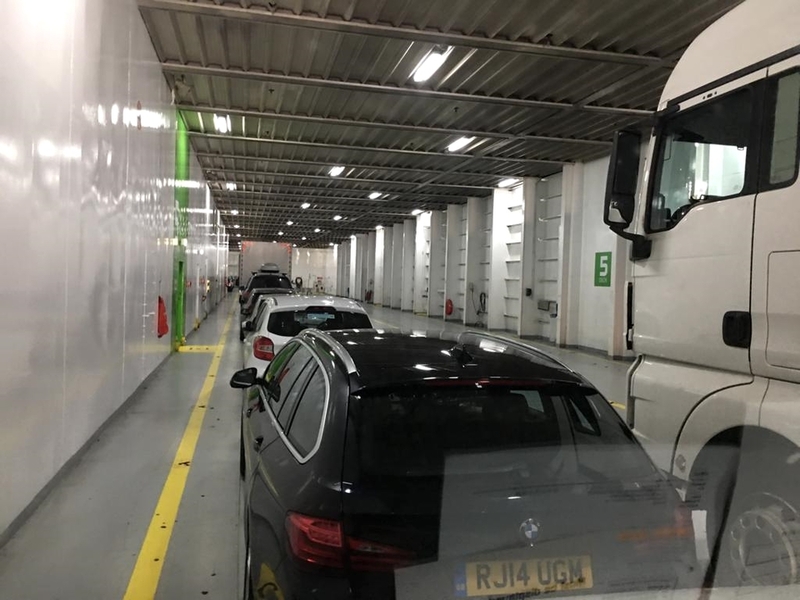 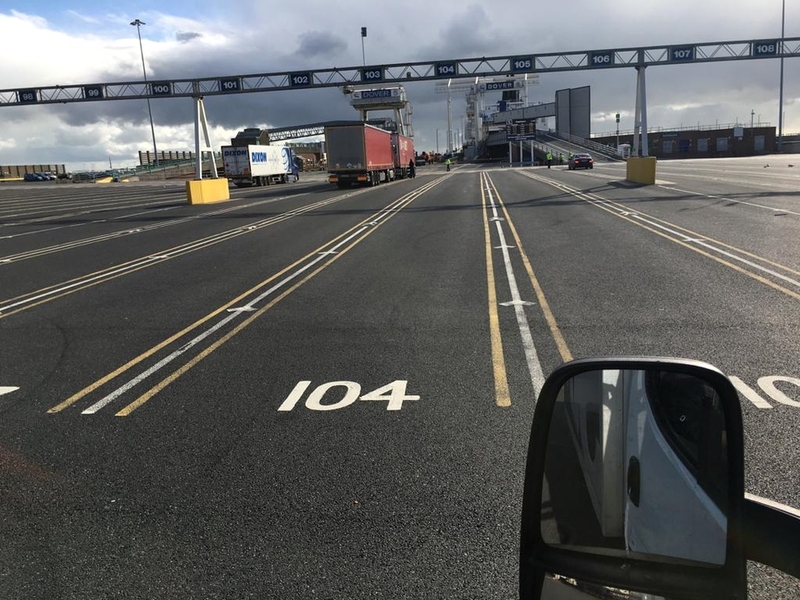 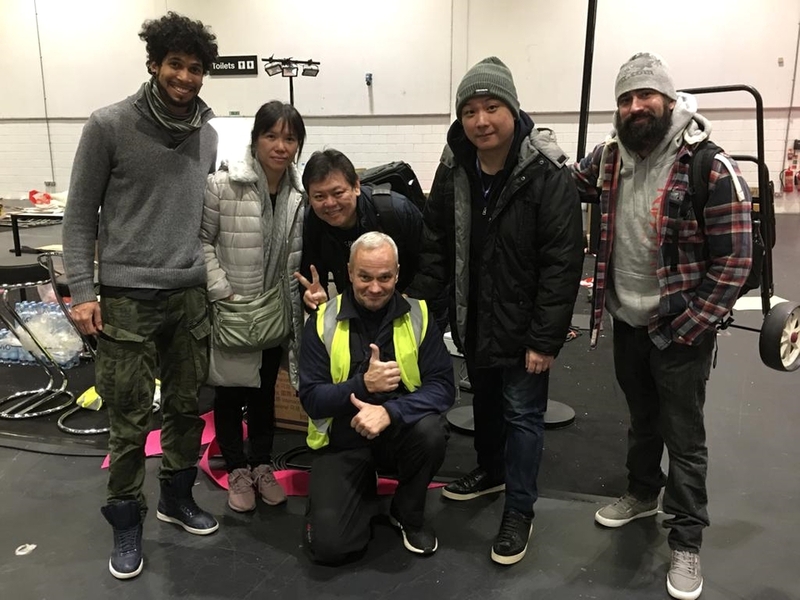 We wish you all a lot of fun with us in england. 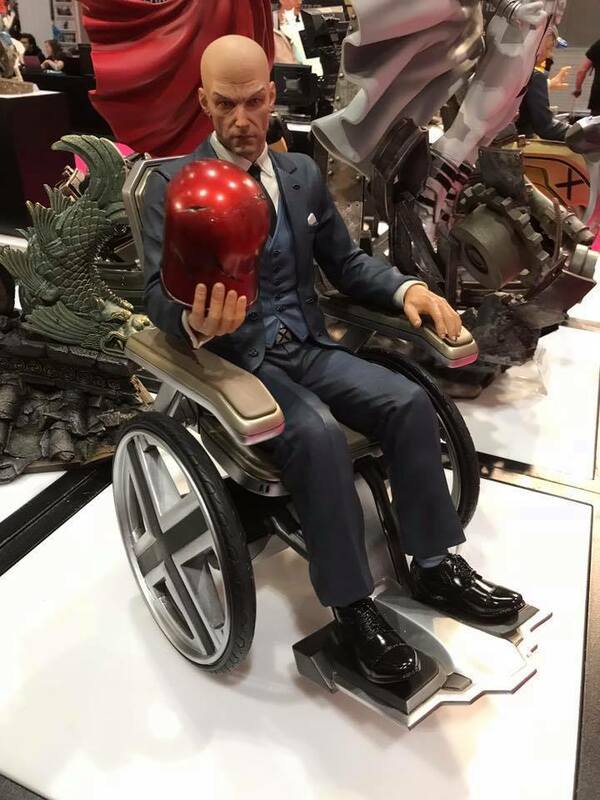 You are welcome here. 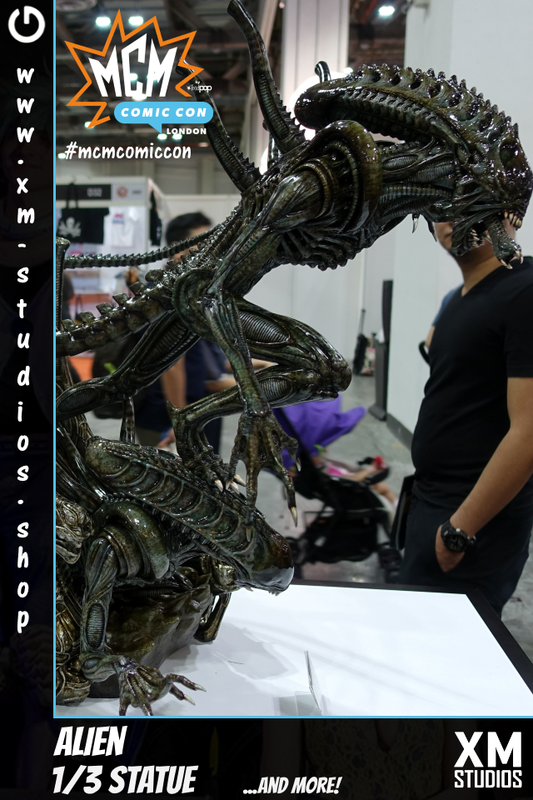 XM Studios. 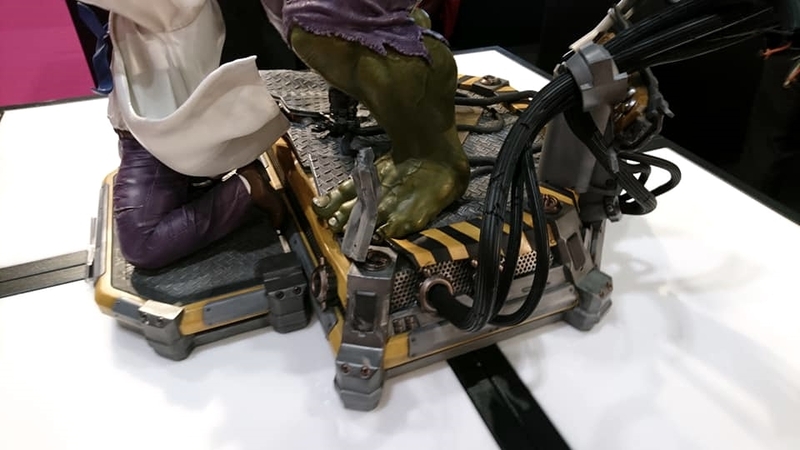 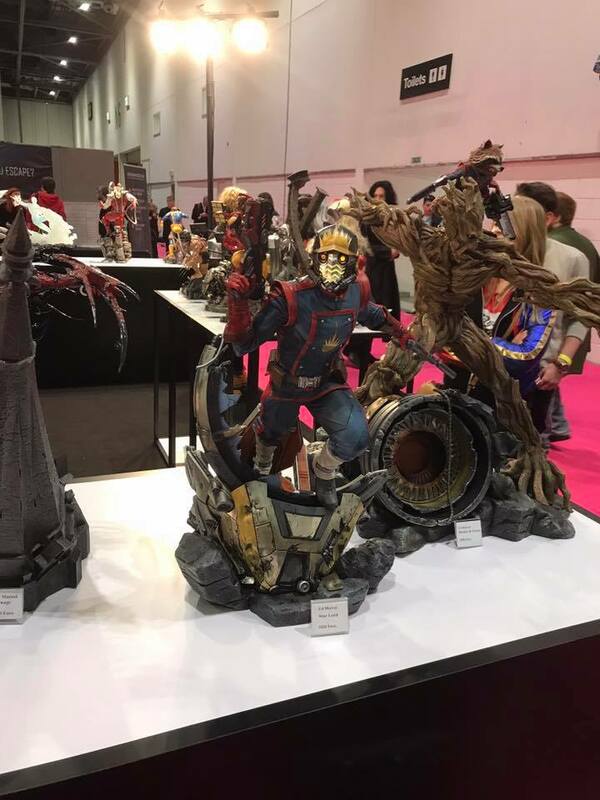 Much more to see! 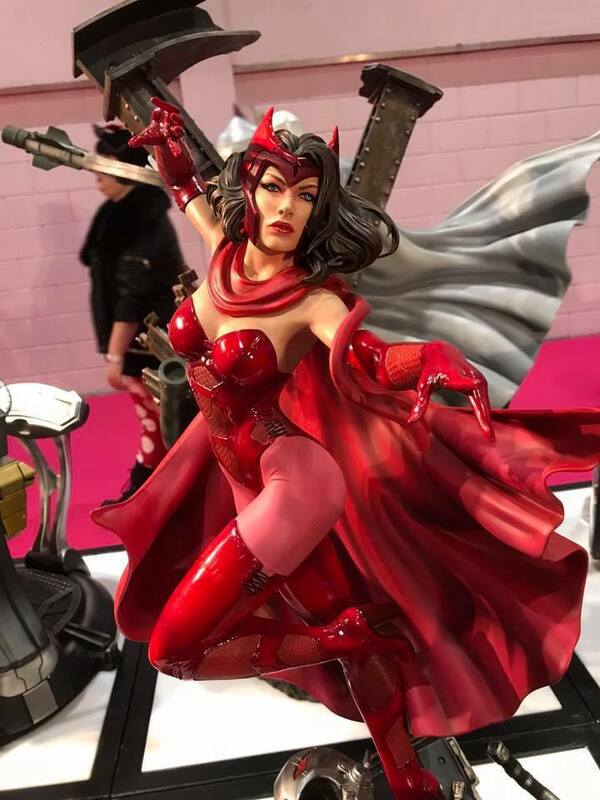 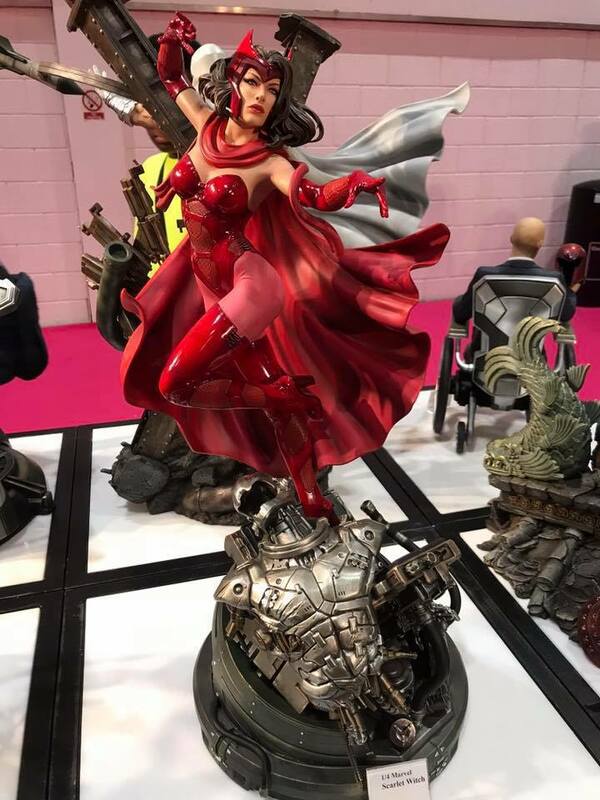 Avenger, the XM Scarlet Witch 1/4 Statue. 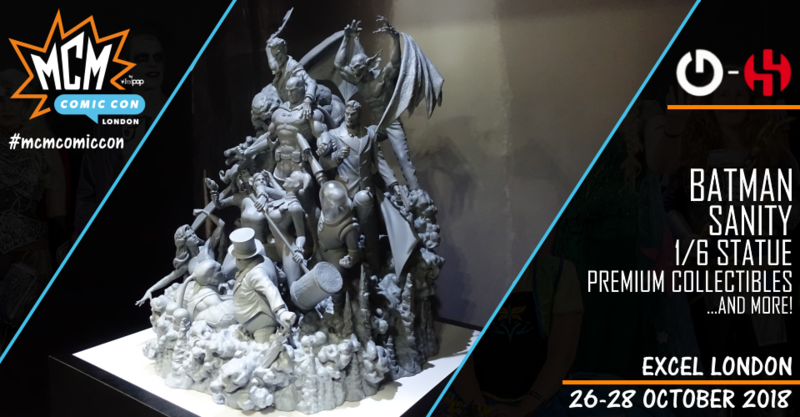 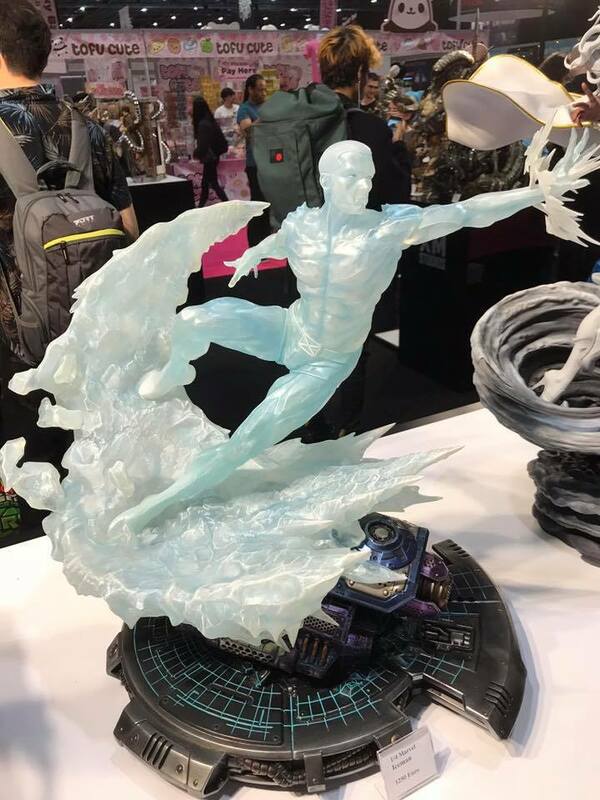 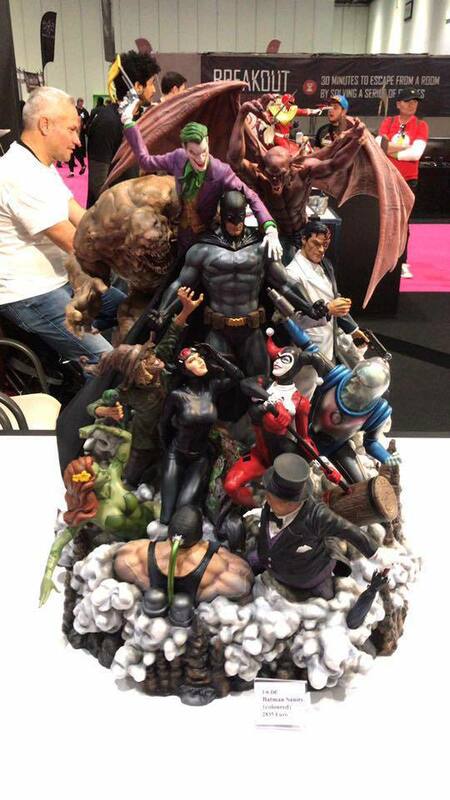 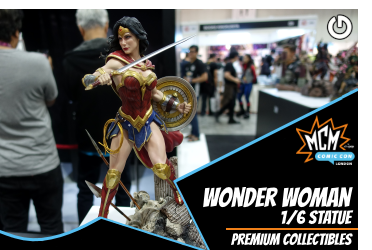 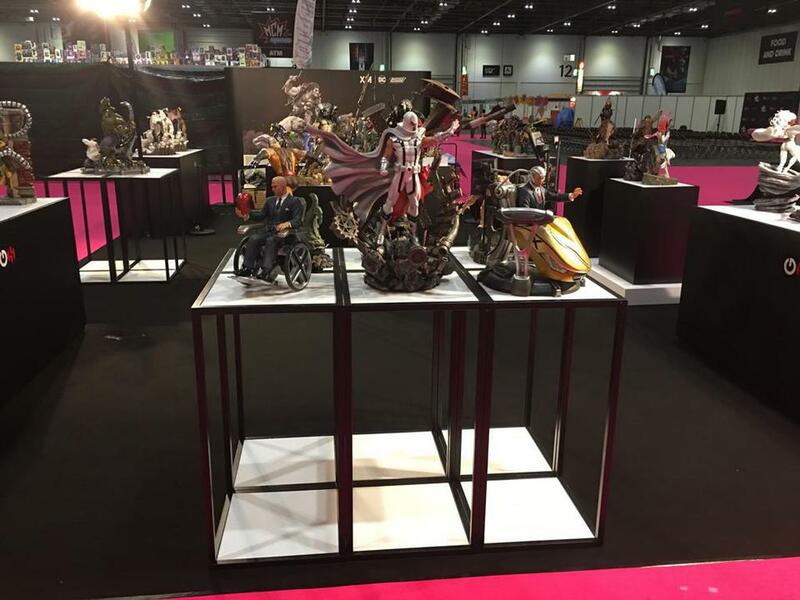 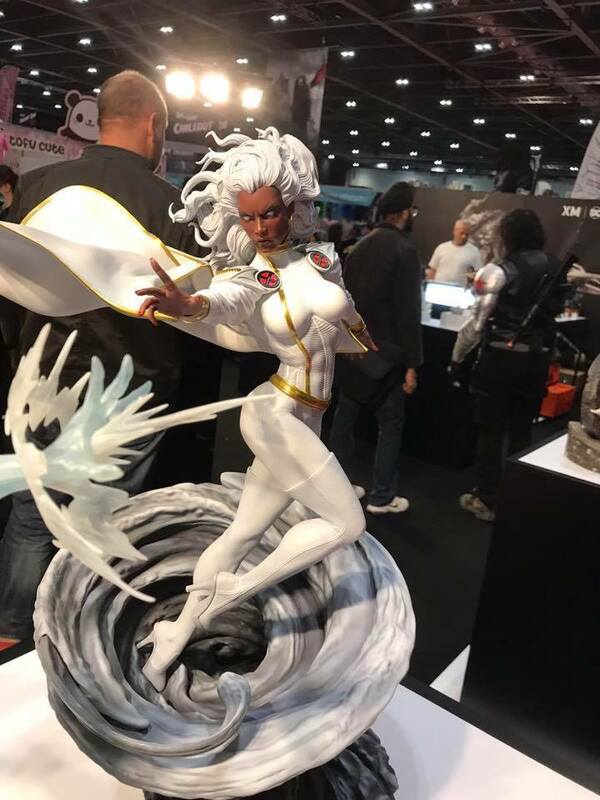 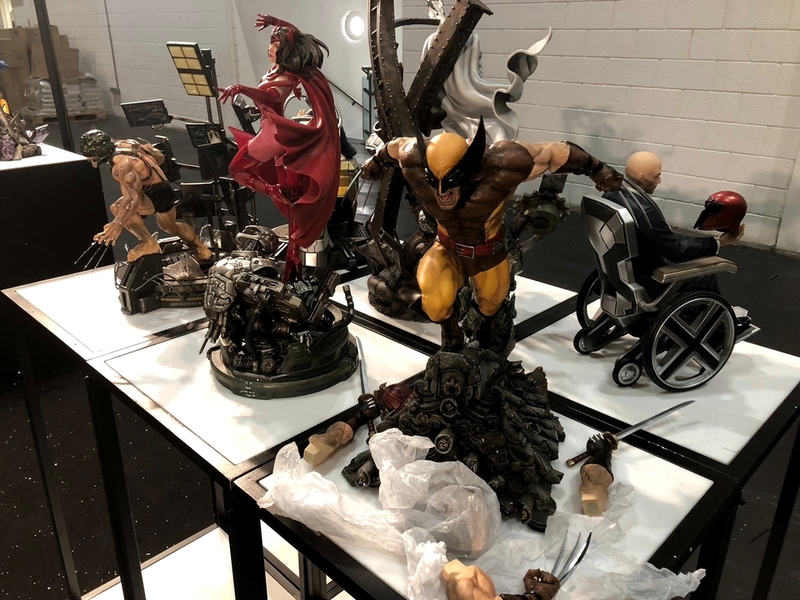 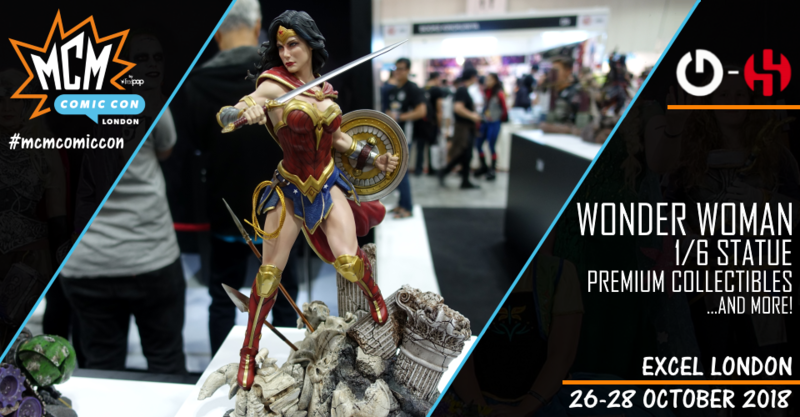 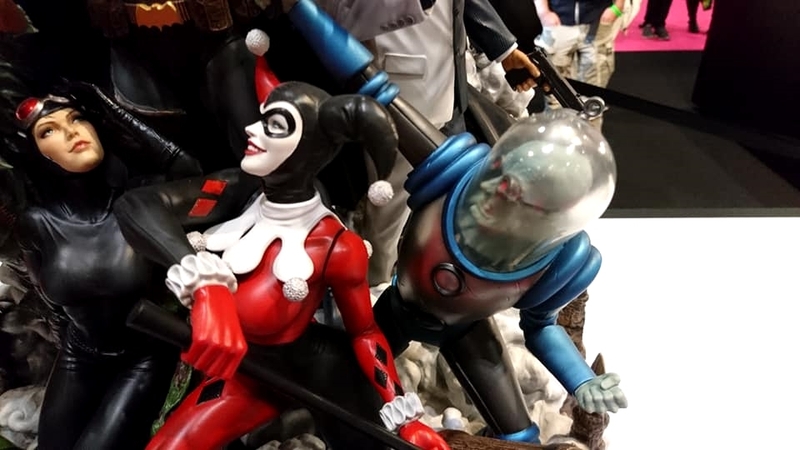 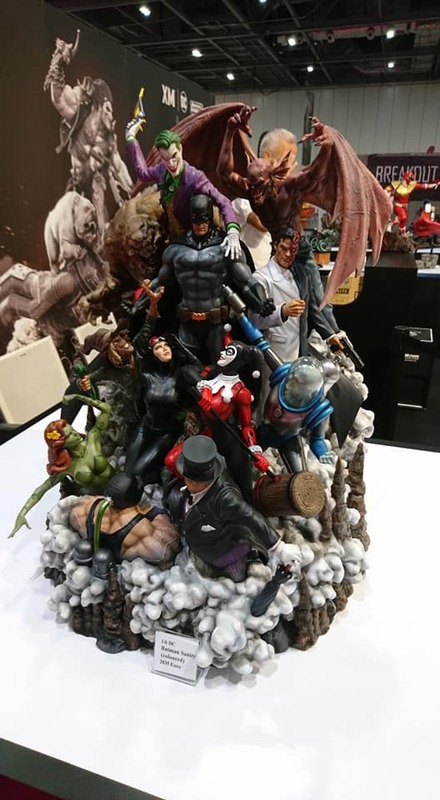 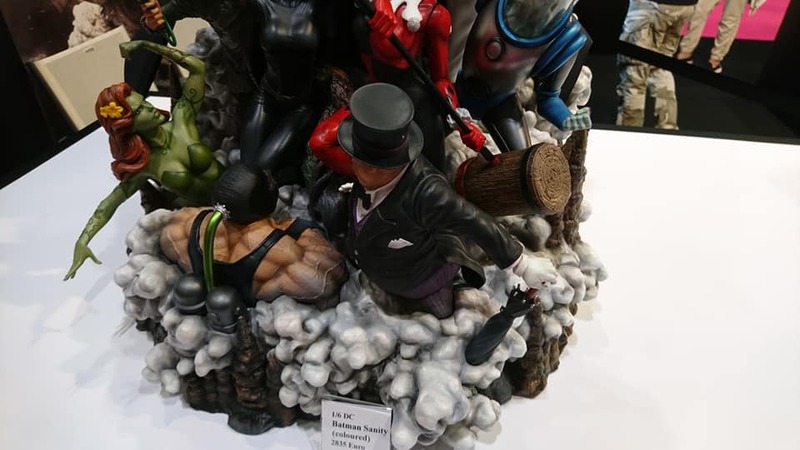 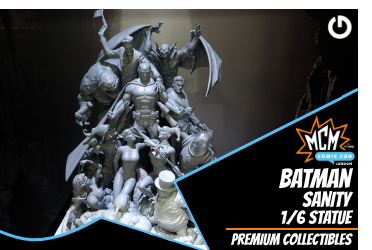 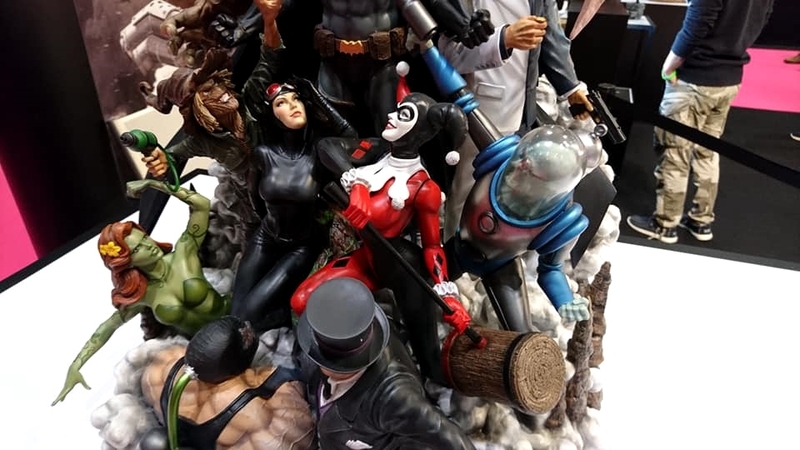 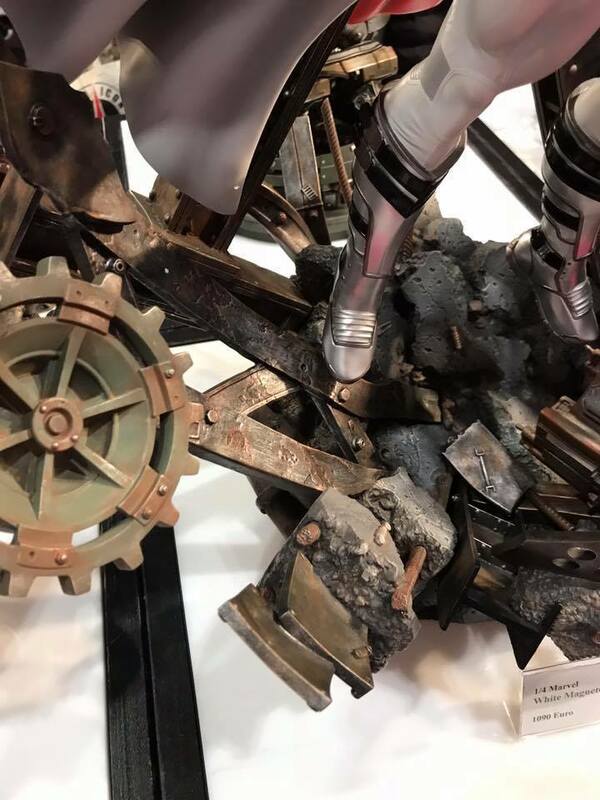 with the XM Wonder Woman 1/6 Statue, XM Superman 1/6 Statue, XM Aquaman 1/6 Statue, XM Flash 1/6 Statue and the villain XM Joker 1/6 Statue. 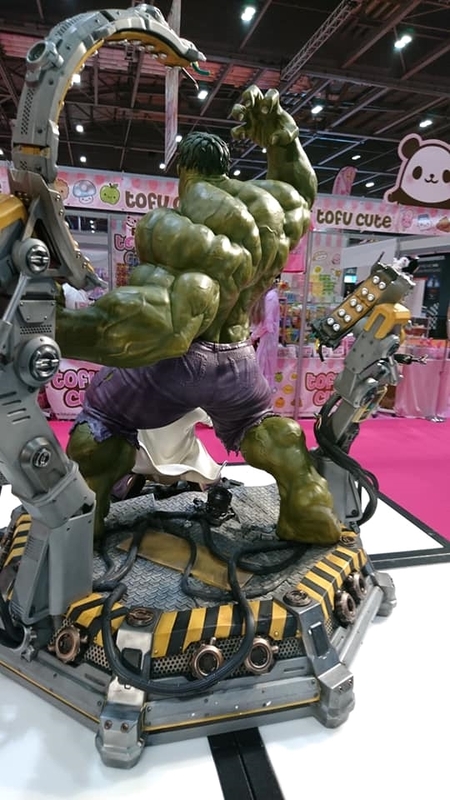 of Japan’s origins, ‘Jomon’, and the newer civilization, ‘Yayoi’, evolved from people in areas of Asian countries. 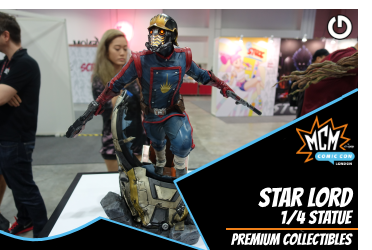 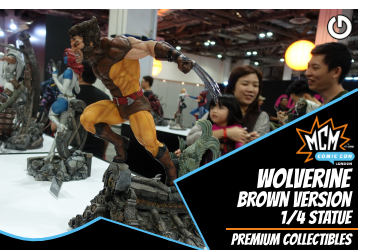 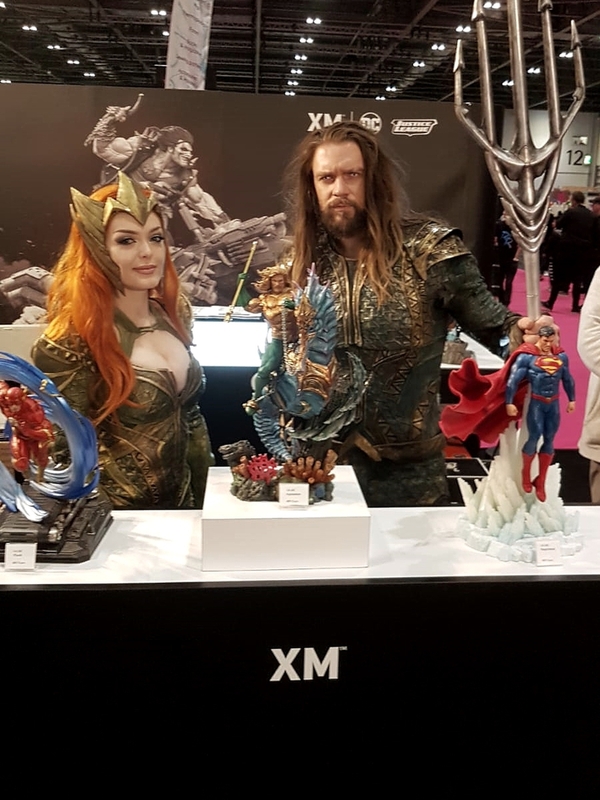 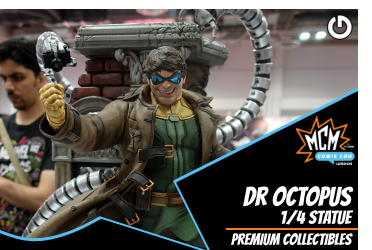 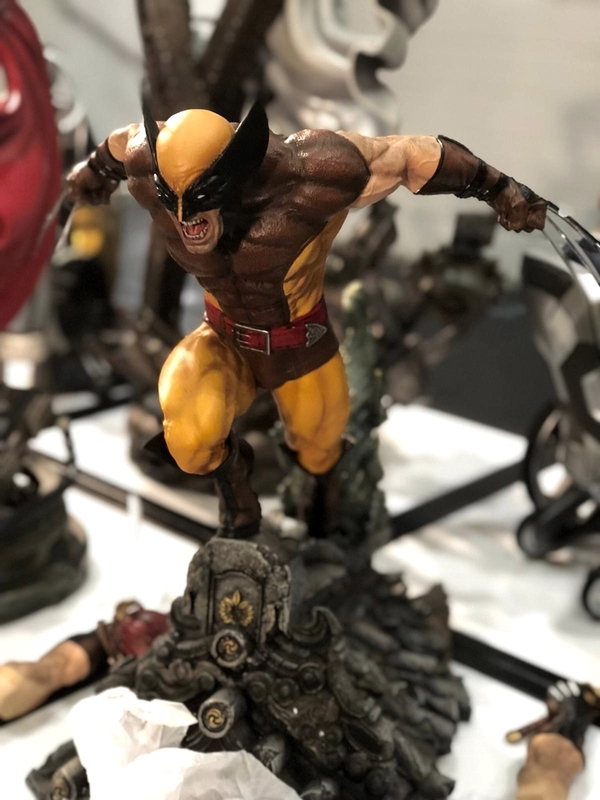 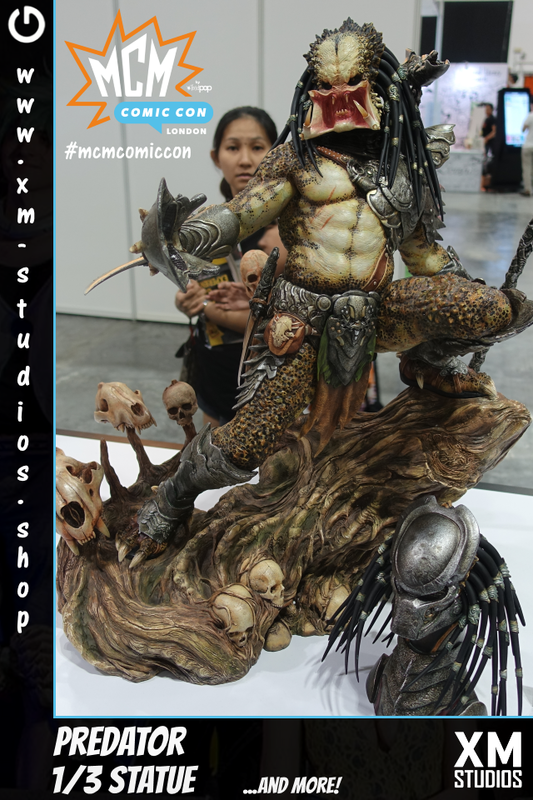 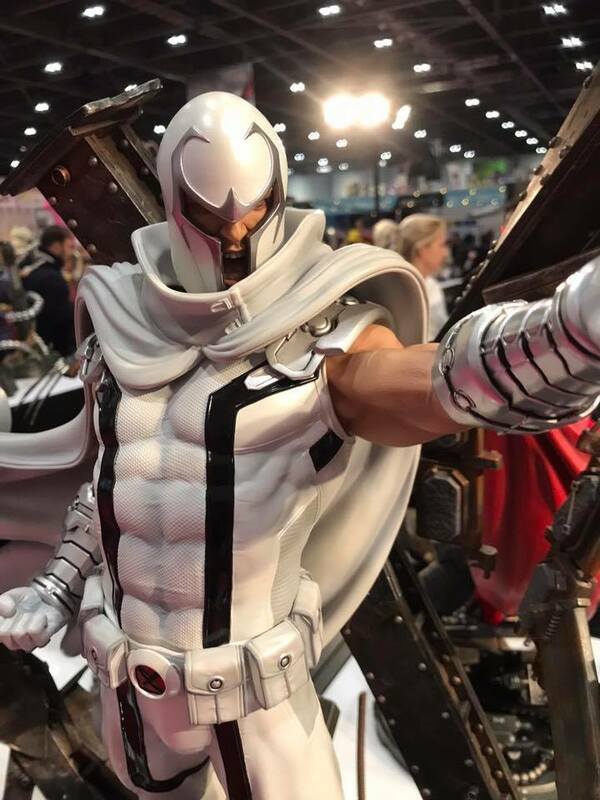 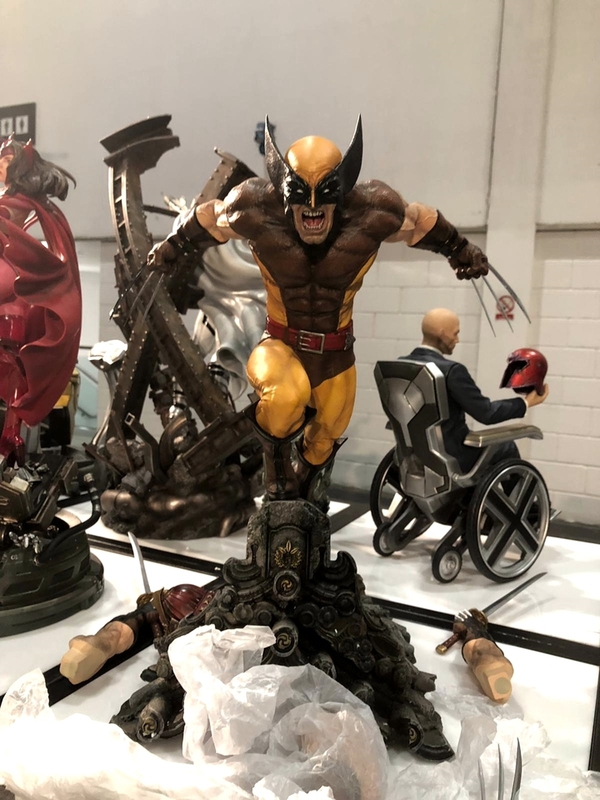 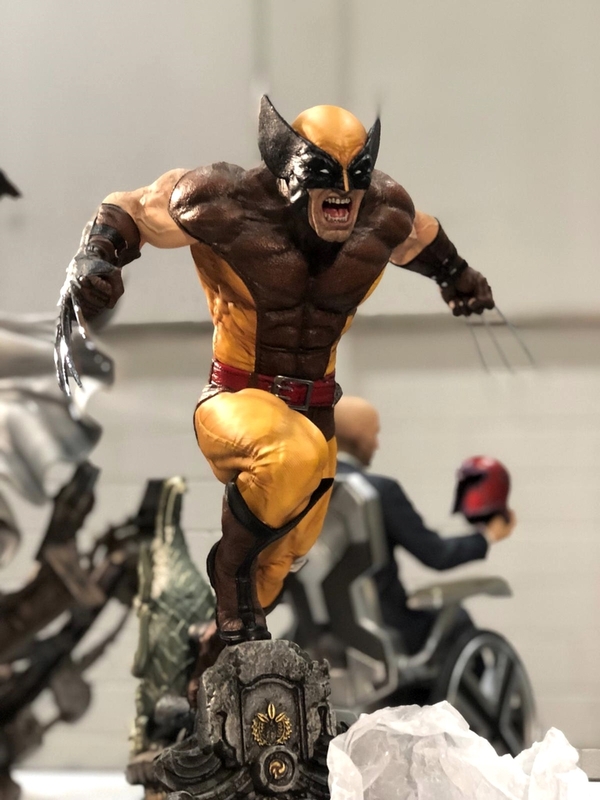 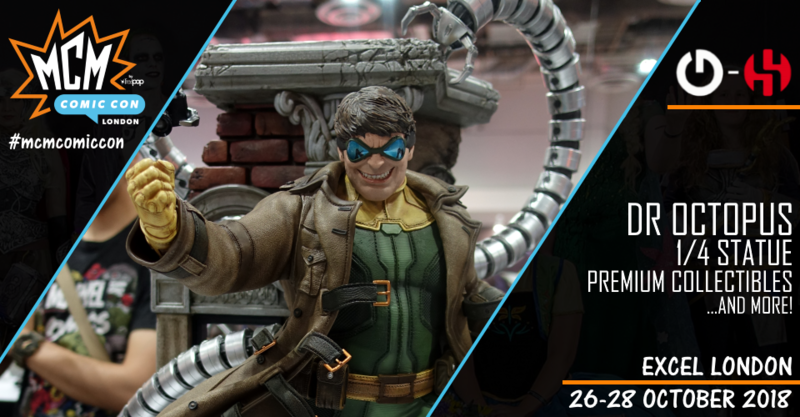 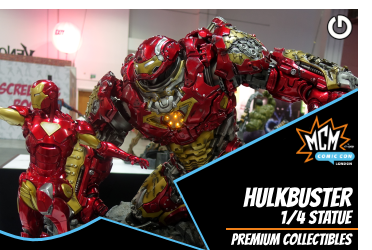 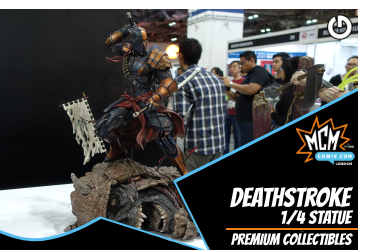 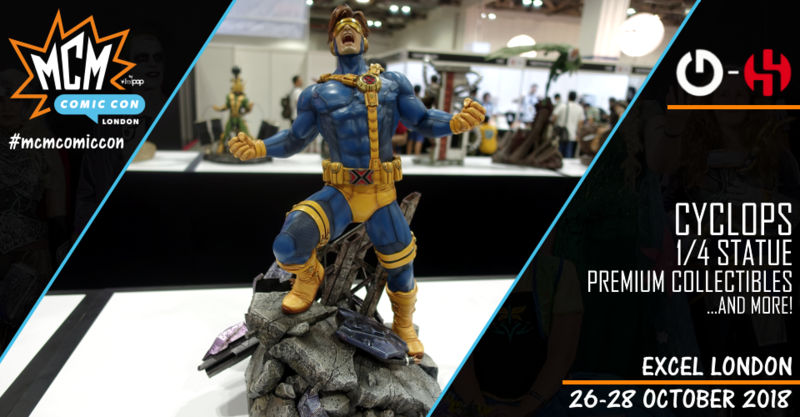 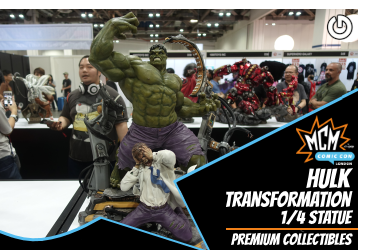 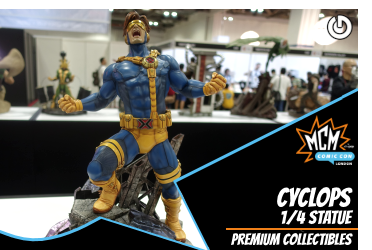 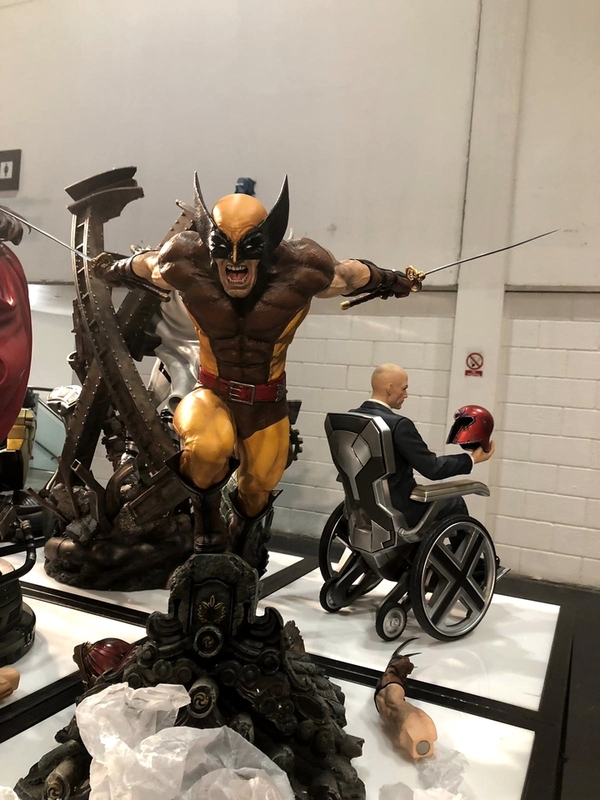 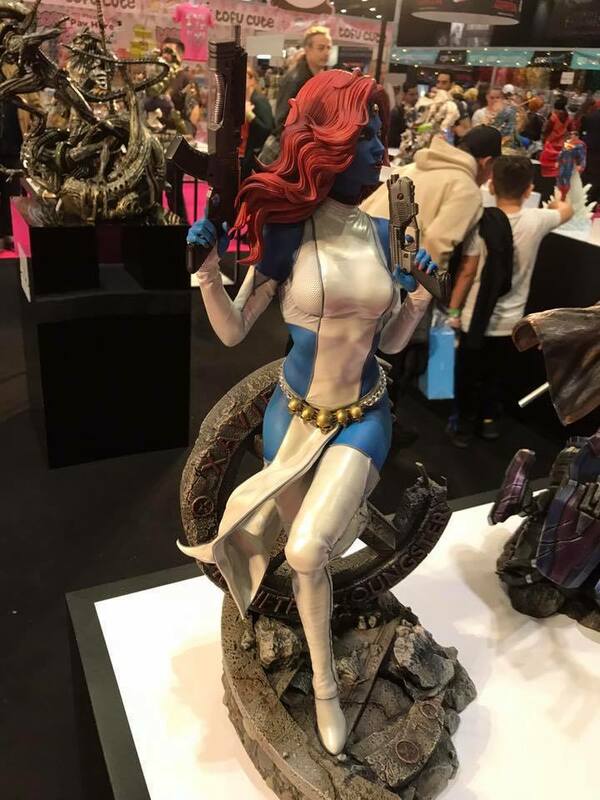 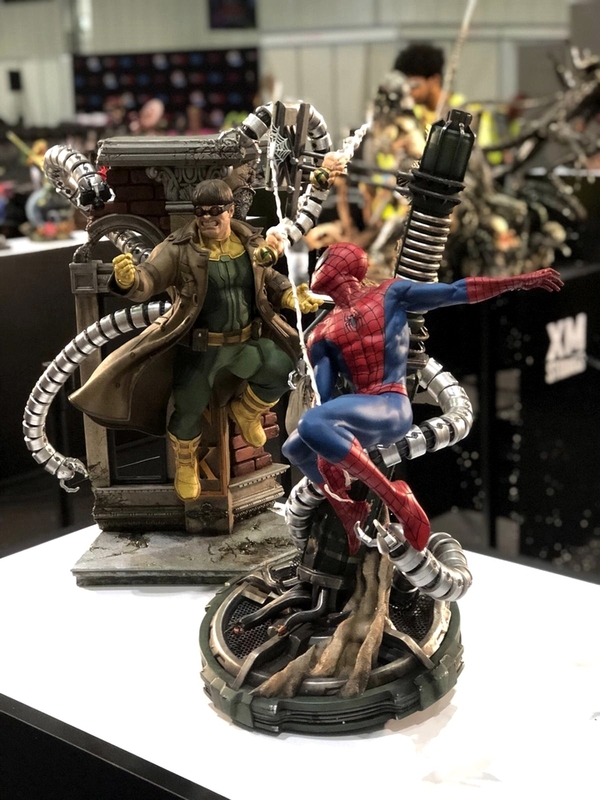 For more information about the MCM London Comic Con 2018 please visit our homepage www.xm-studios.shop and the page "London 2018". 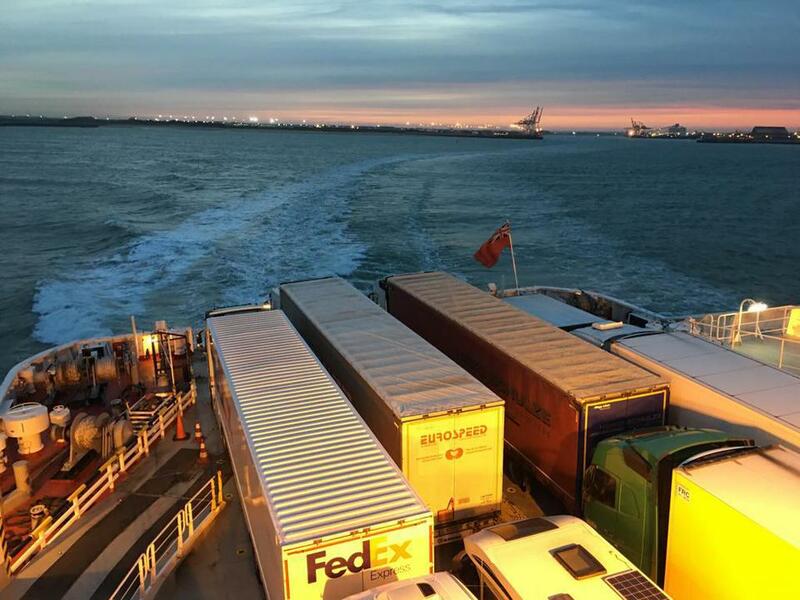 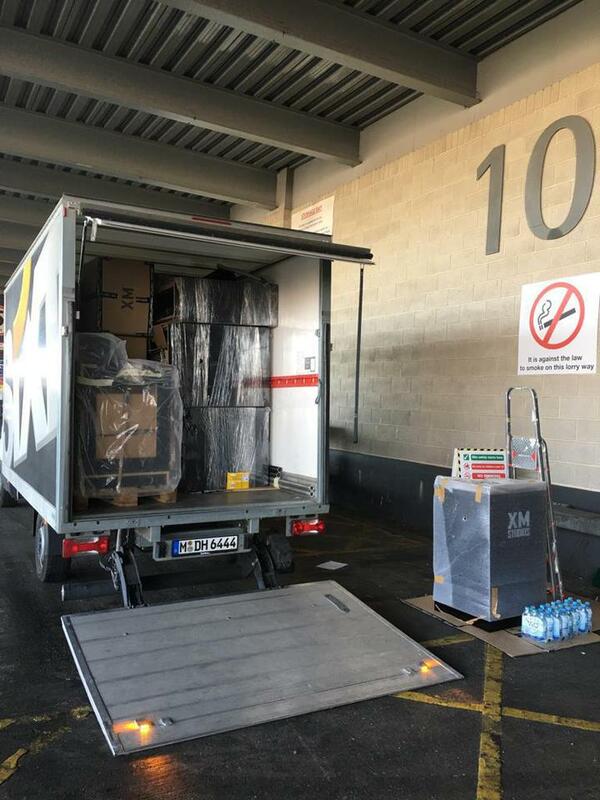 We wish you all a lot of fun in england. 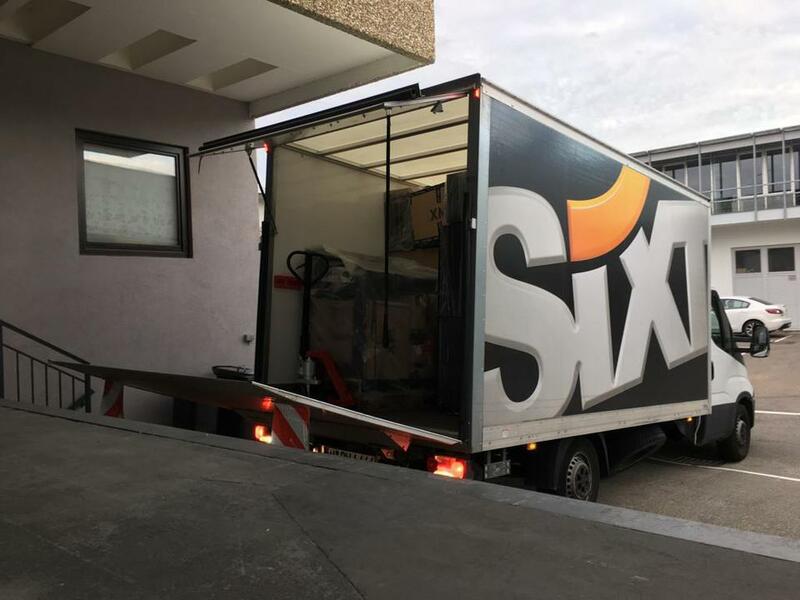 You are welcome here! 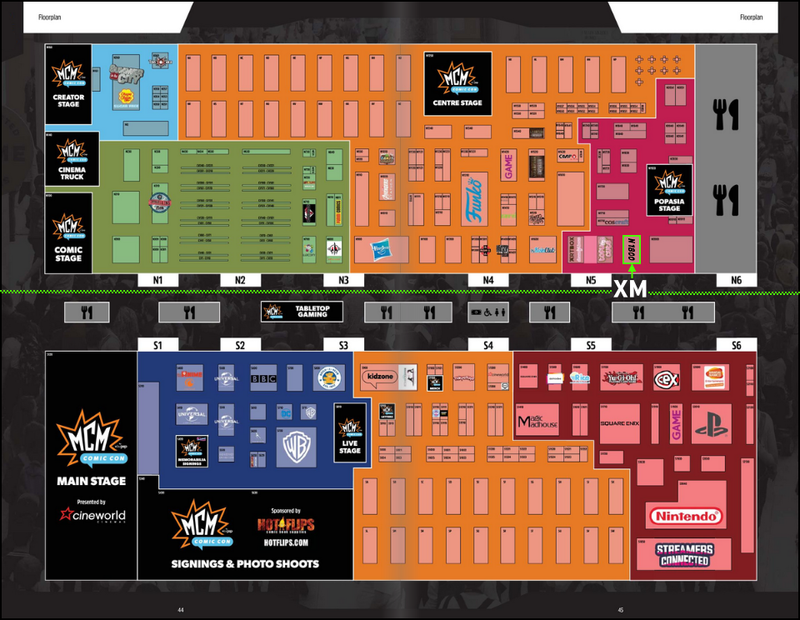 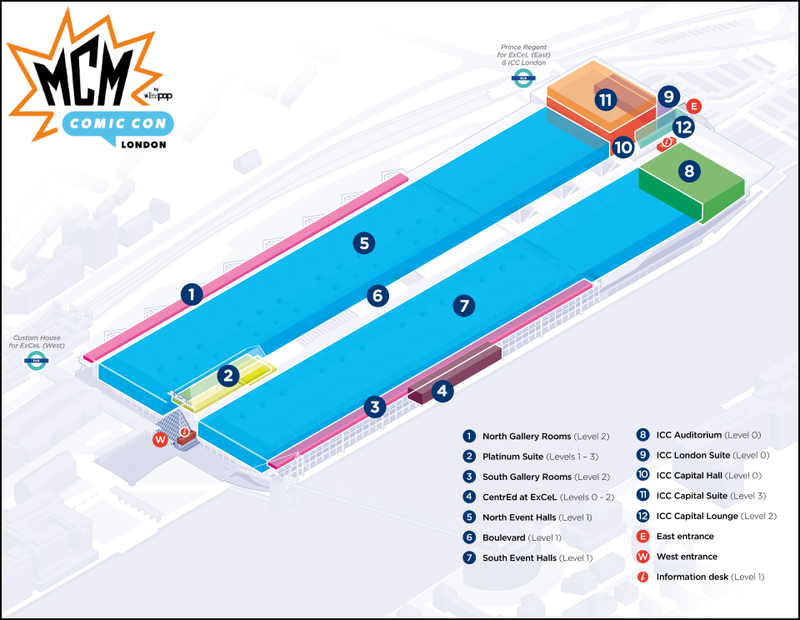 To find our booth N1800 at London 2018 we have for you a Overview Map which shows our North Event Halls (5). 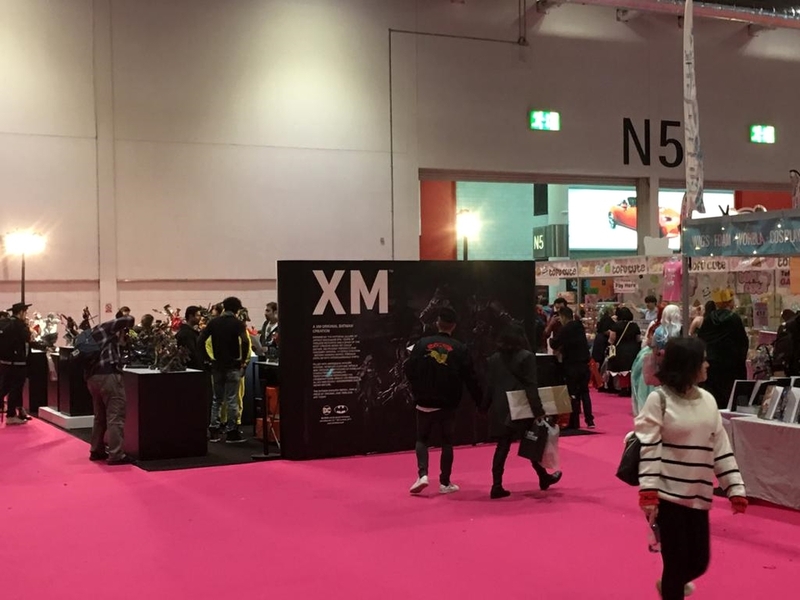 Visit us at the North Event Halls on booth N1800, you are welcome here! 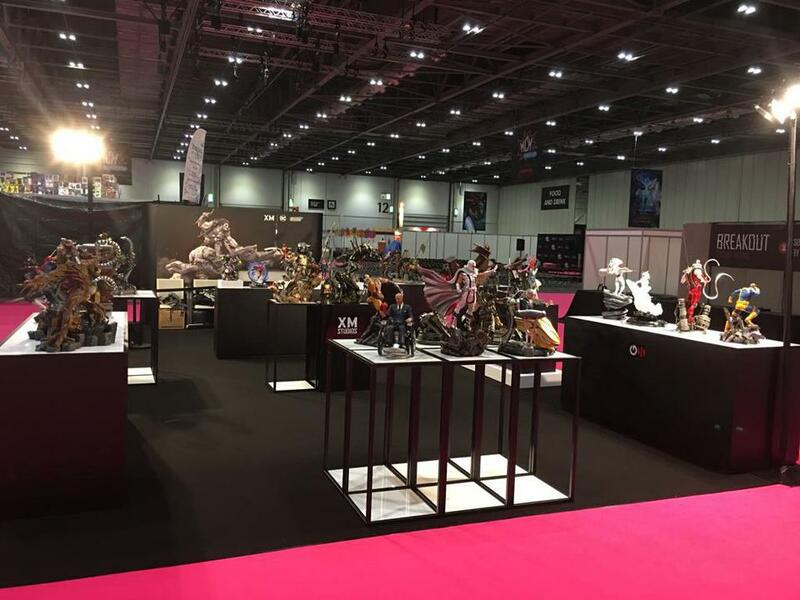 Note: Both MCM London and GHeroes logos are not on the artprint! 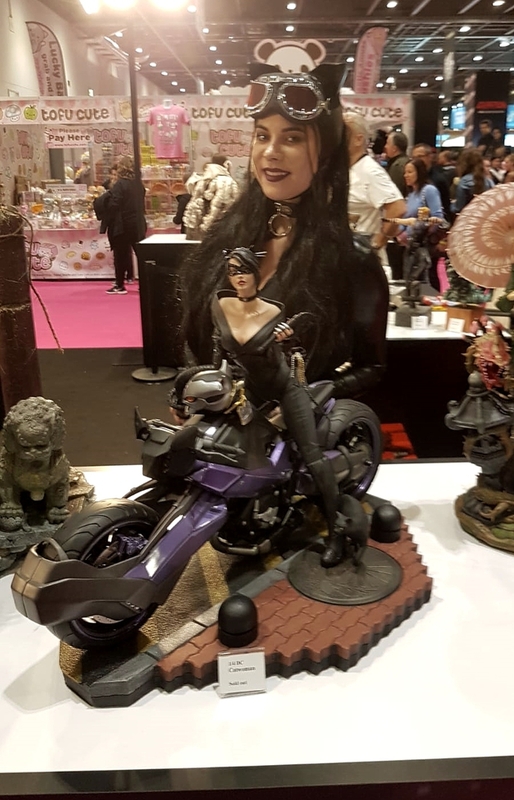 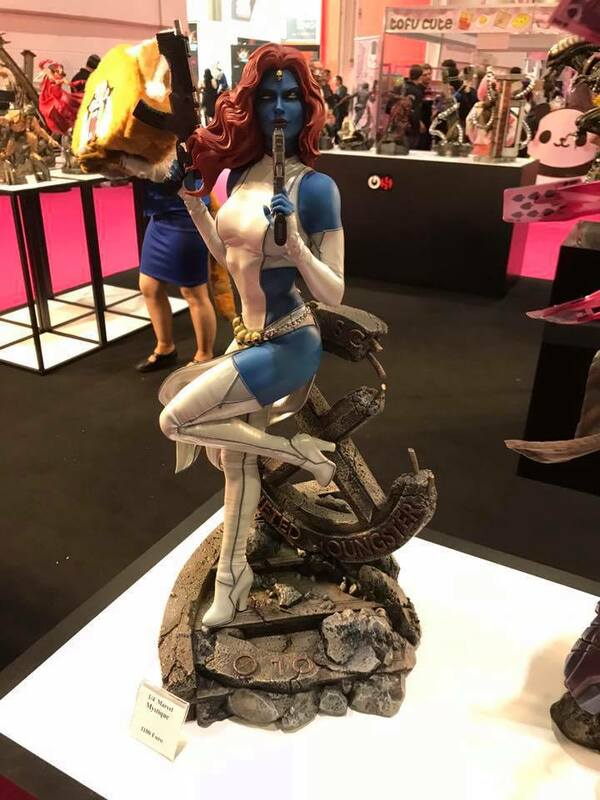 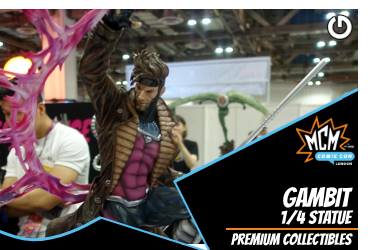 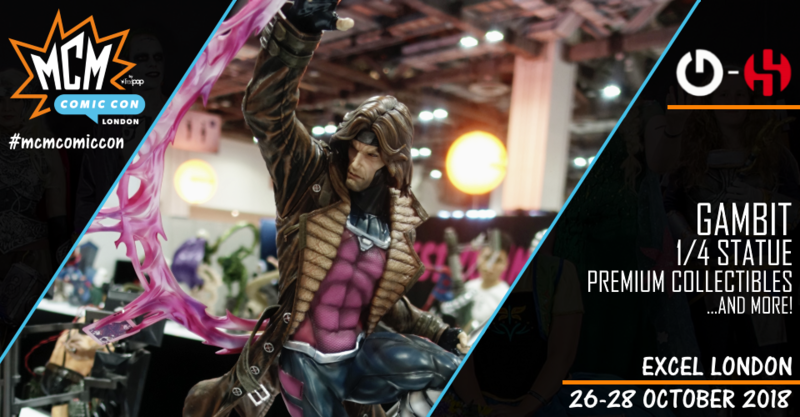 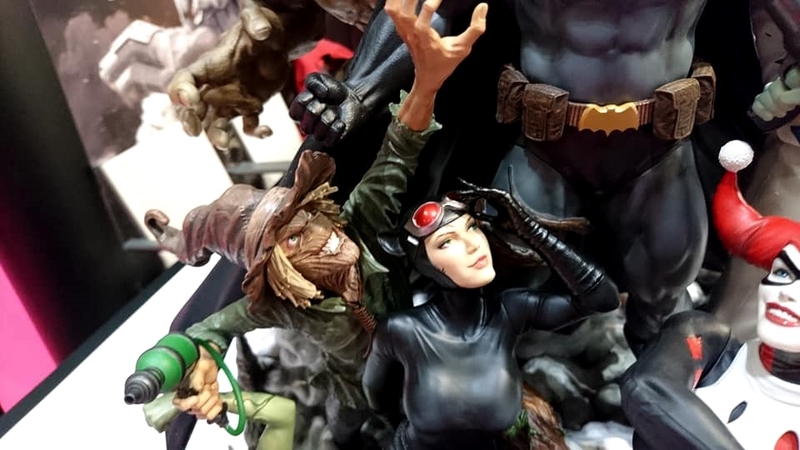 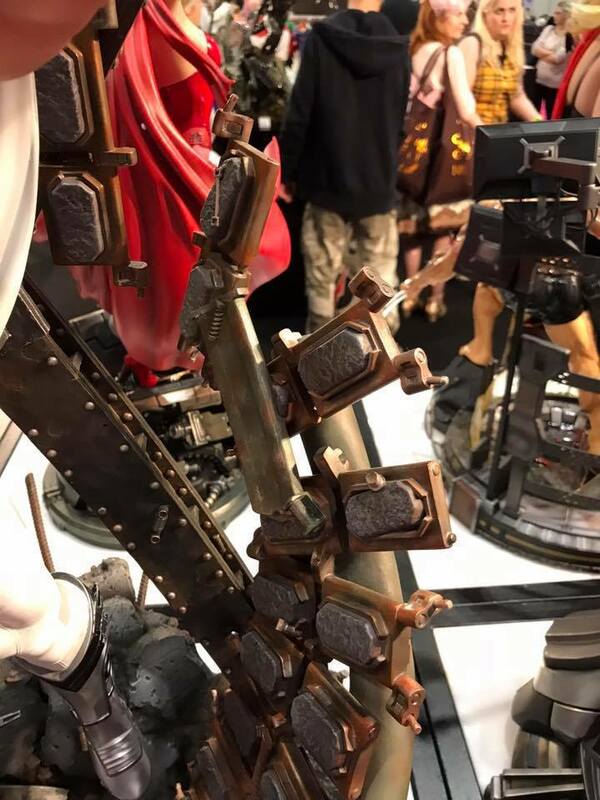 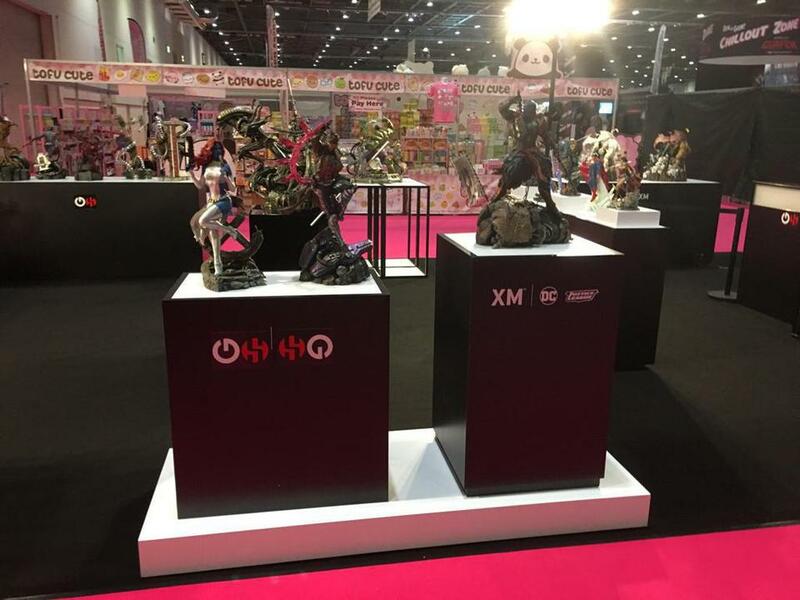 For the first time you can PreOrder both Narin 1/3 statues at MCM London Comic Con 2018 this October. 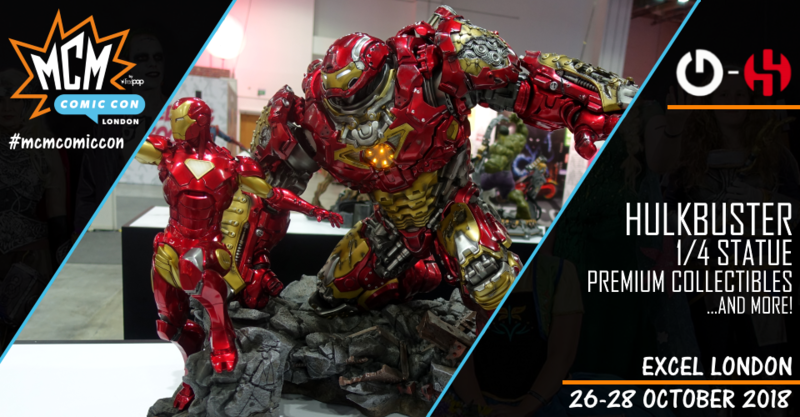 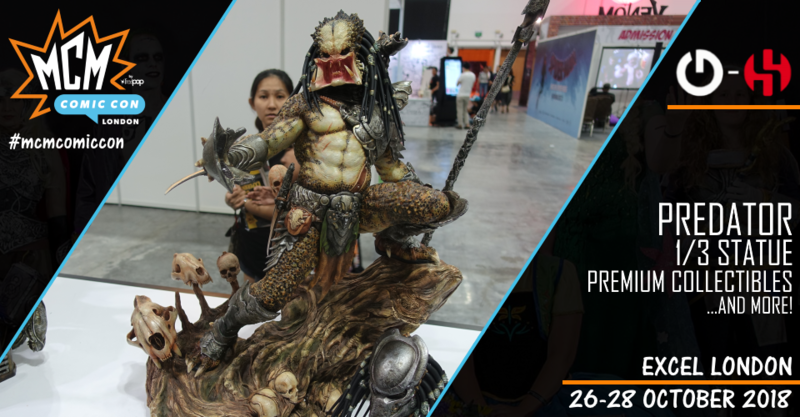 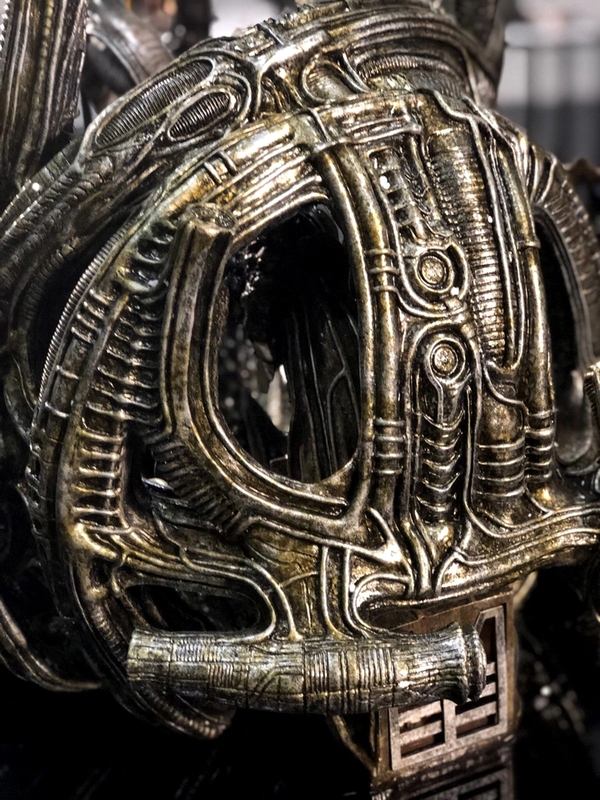 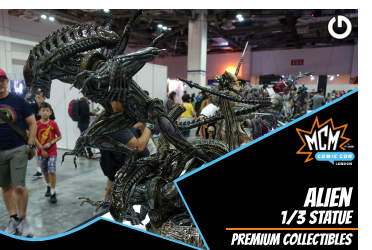 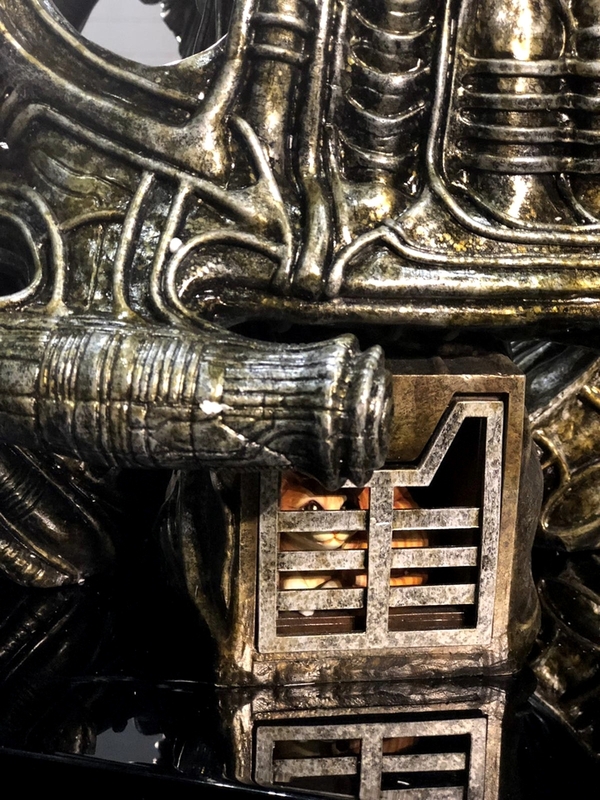 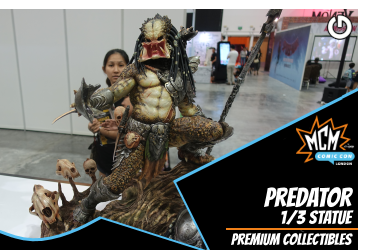 GHeroes and XM Studios will show you the XM Predator 1/3 and new XM Alien 1/3, ready for PreOrder in europe. 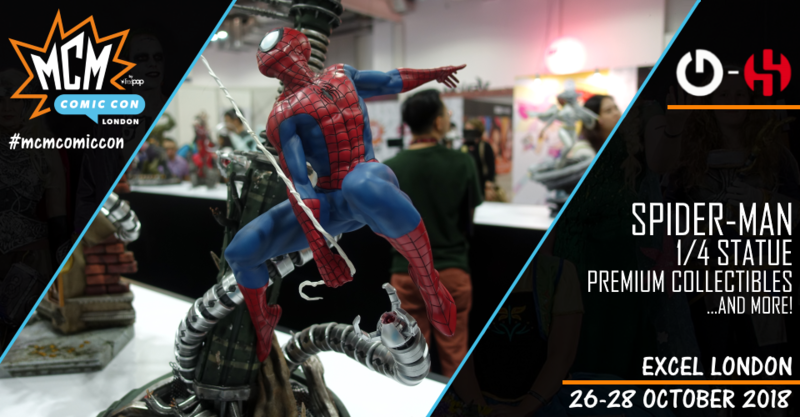 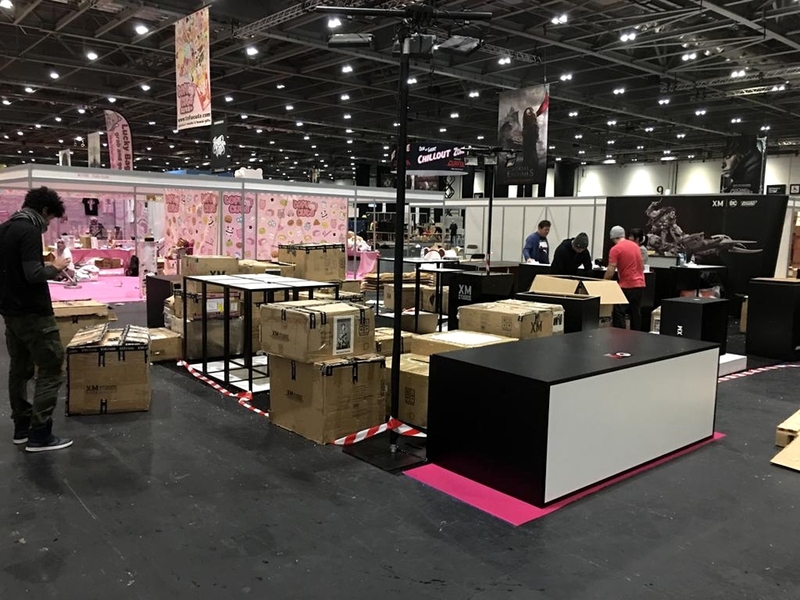 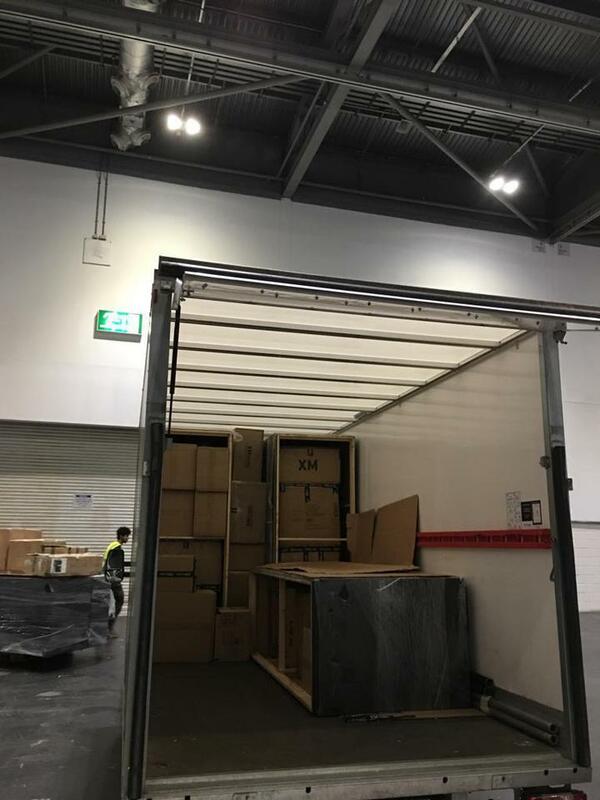 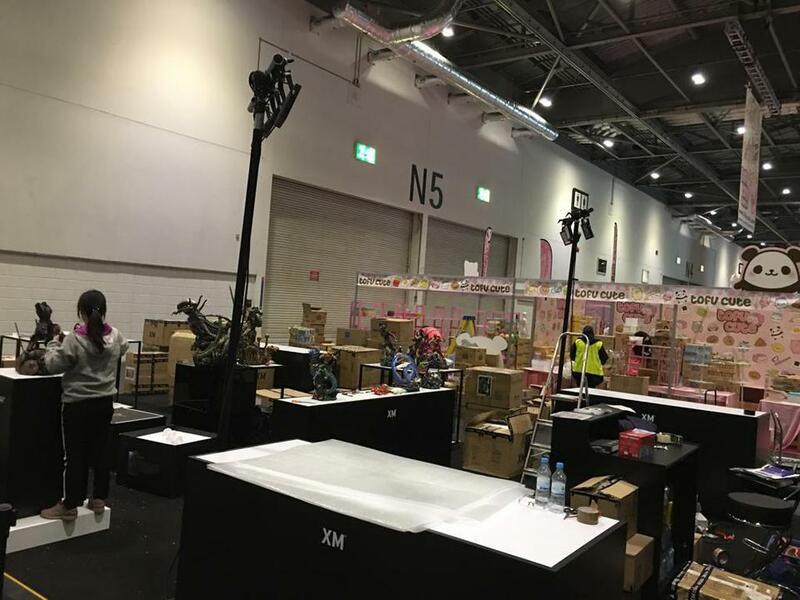 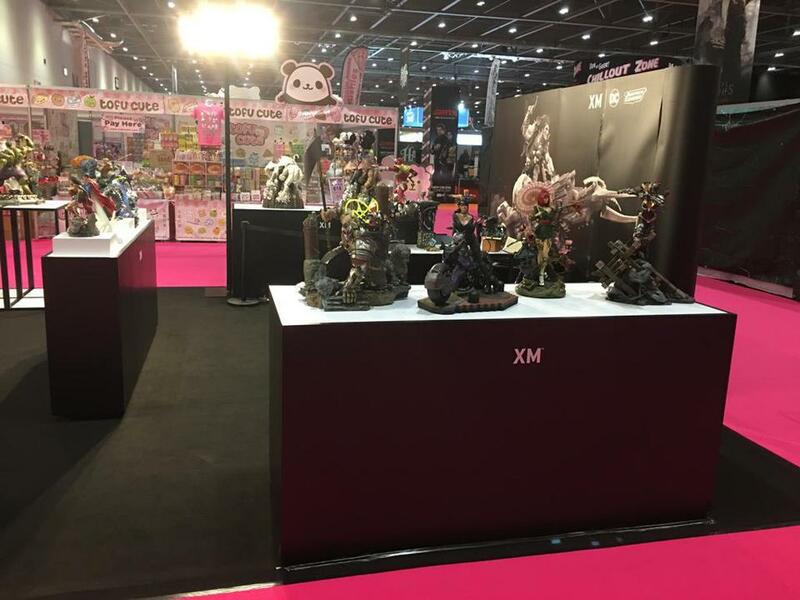 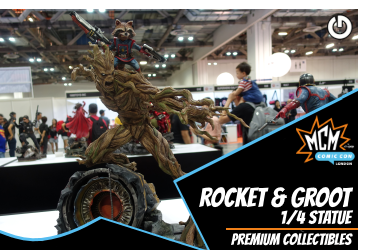 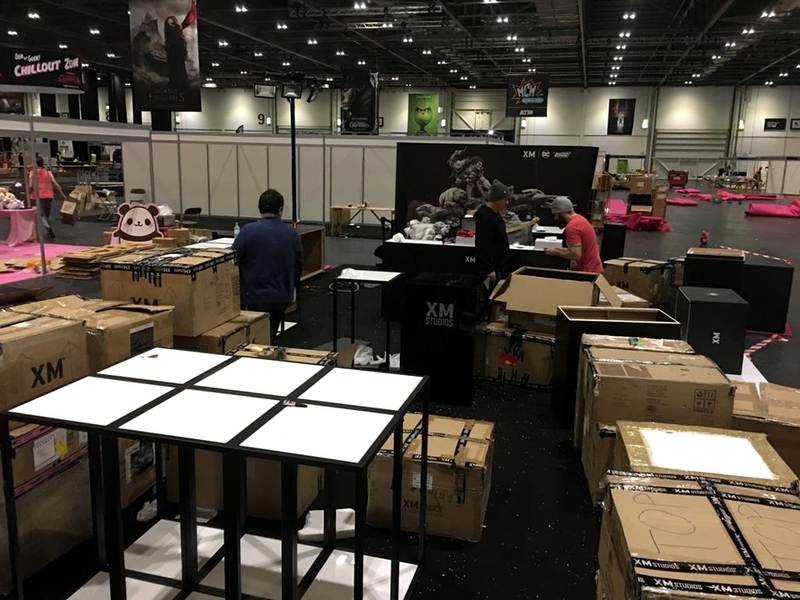 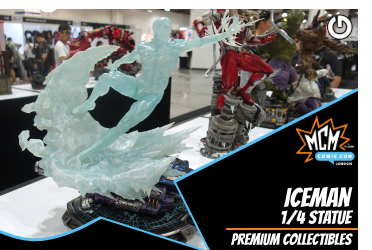 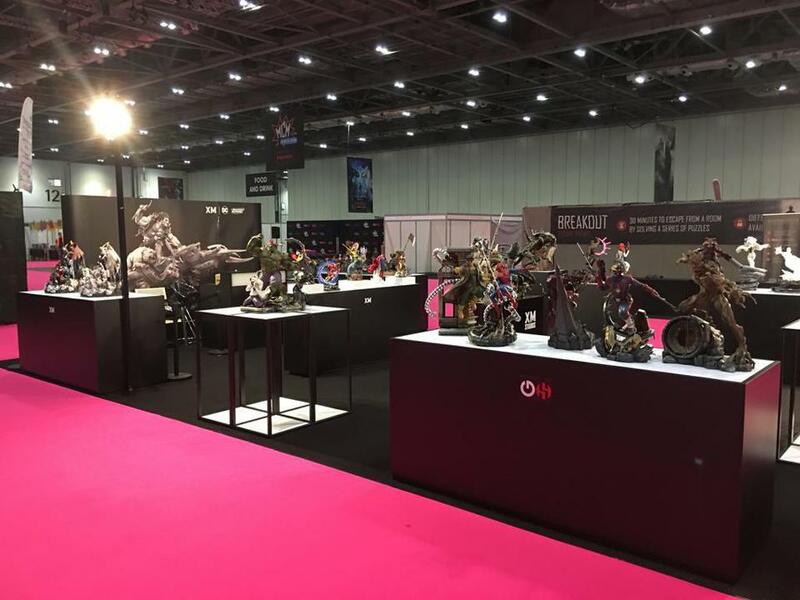 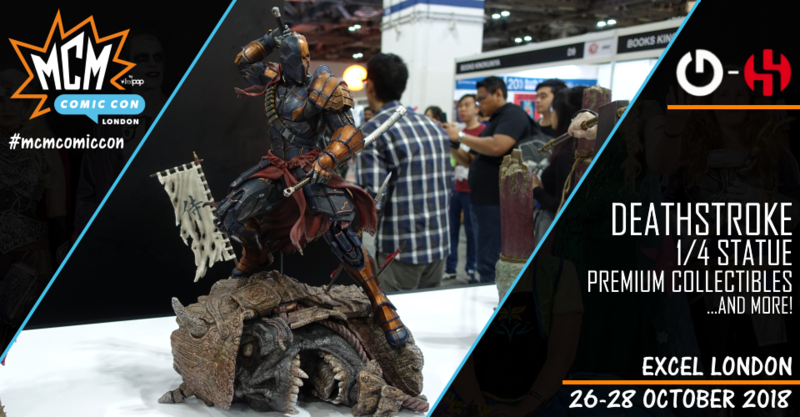 We moved from booth N1500 to N1800 at the MCM London Comic Con 2018 from Oct. 26th to Oct. 28th. 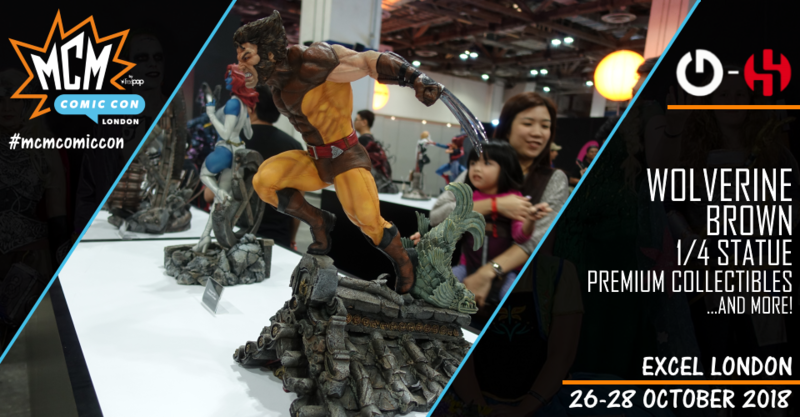 Visit us at the North Event Halls (5) on booth N1800, you are welcome here! 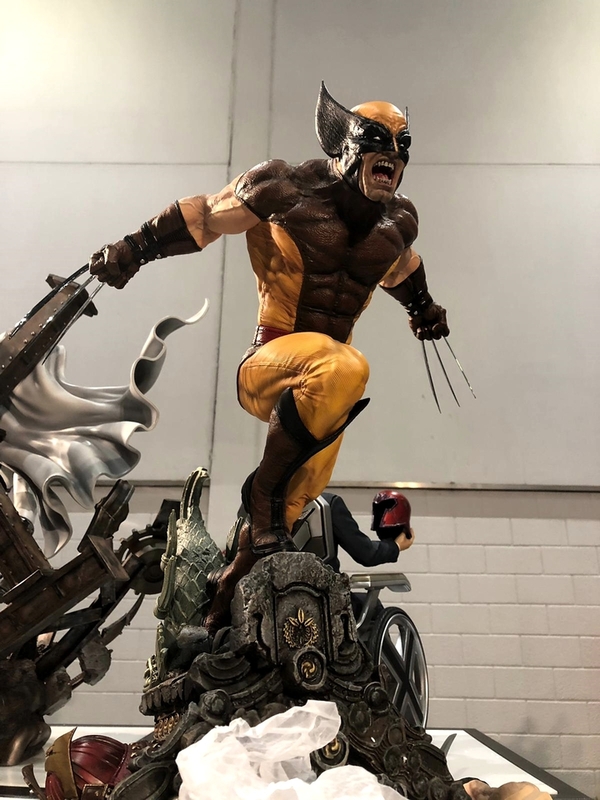 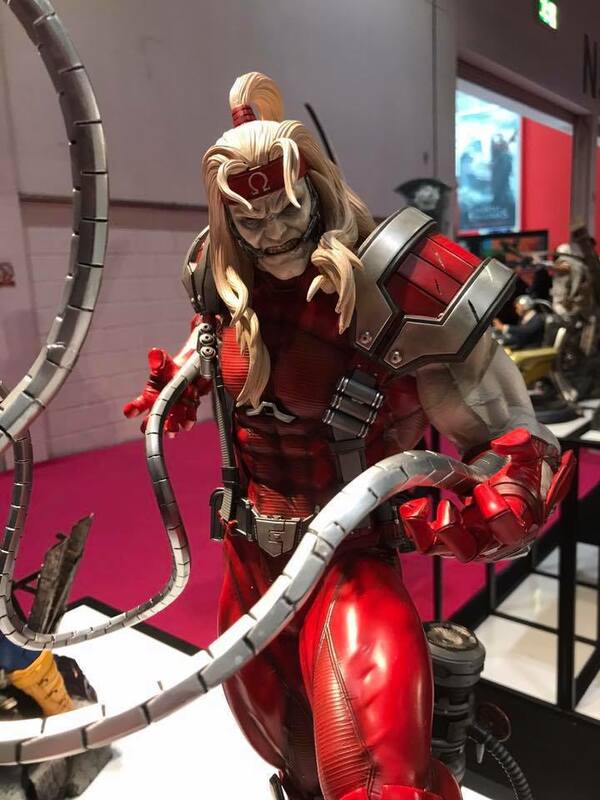 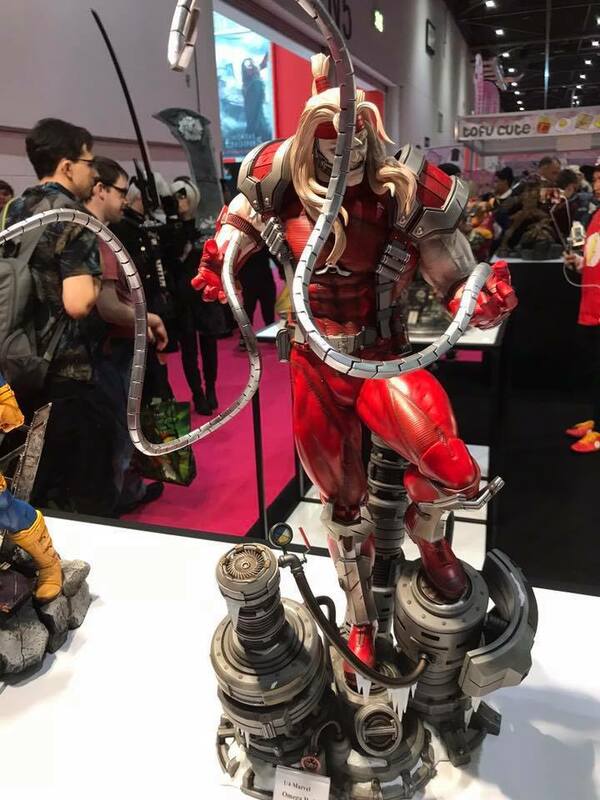 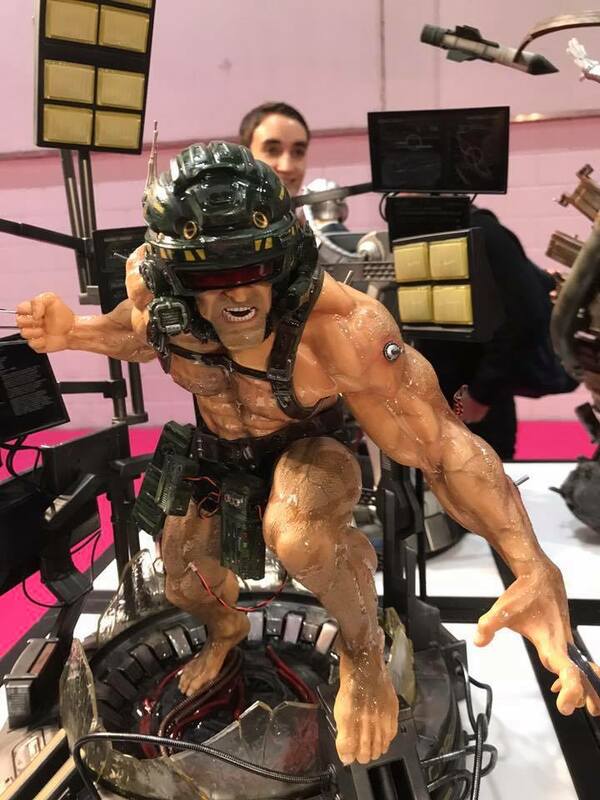 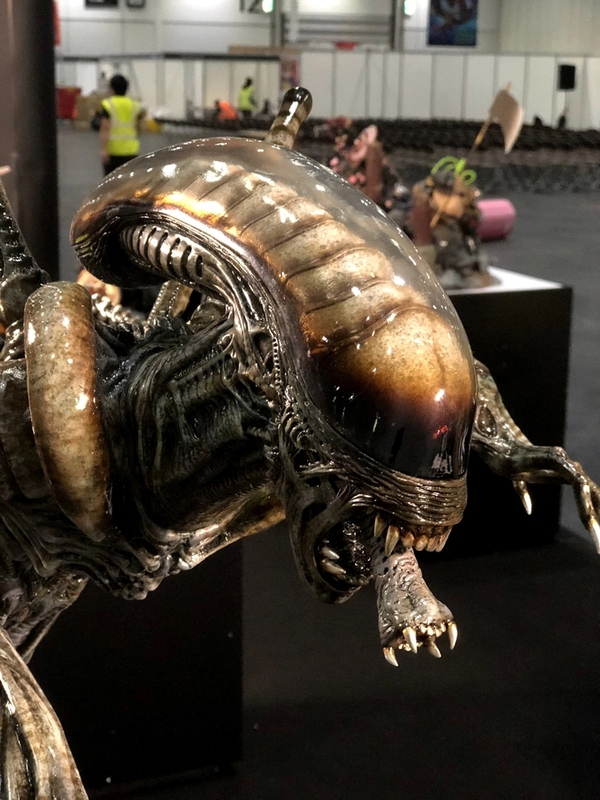 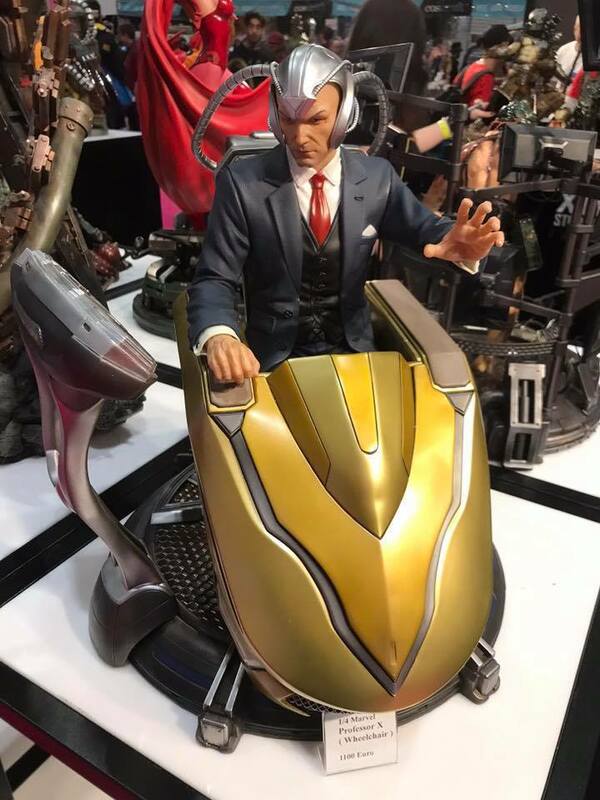 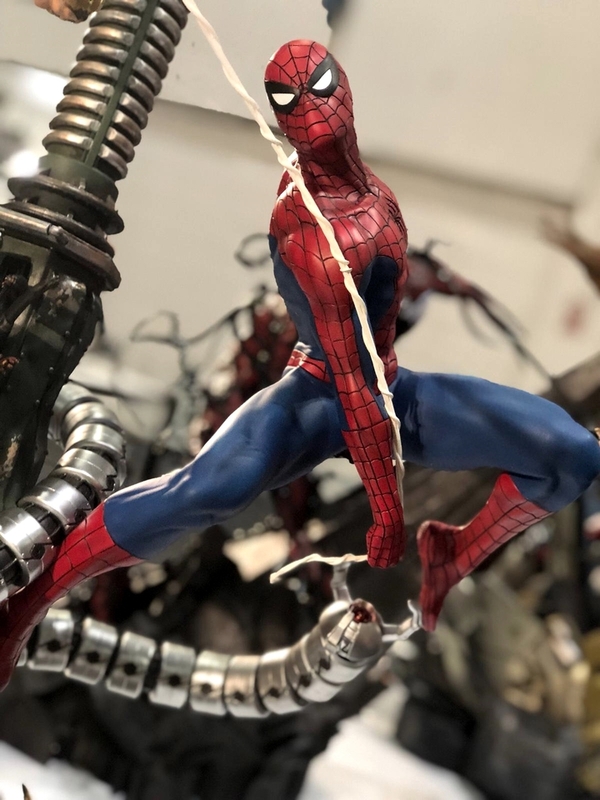 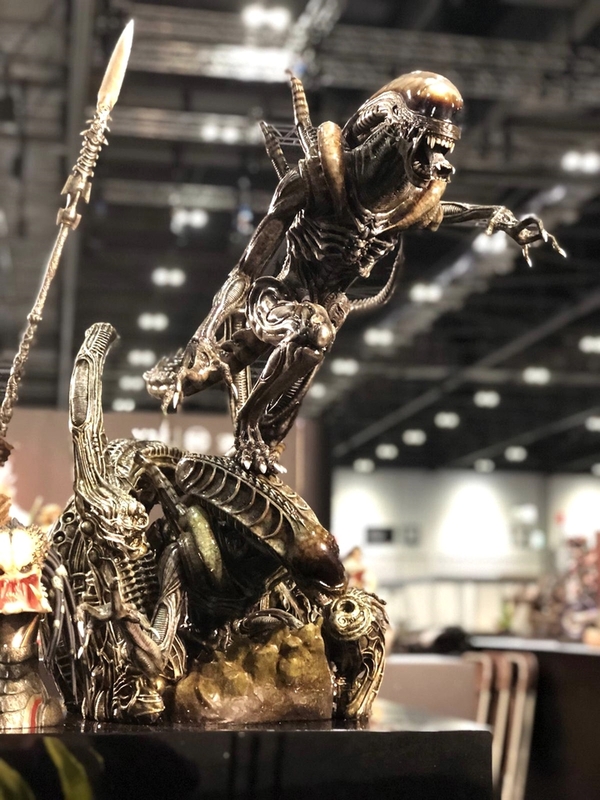 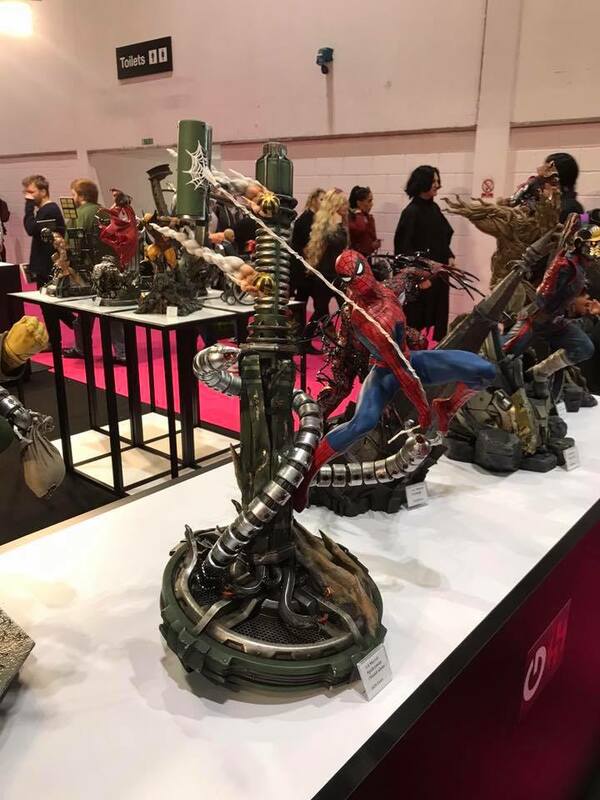 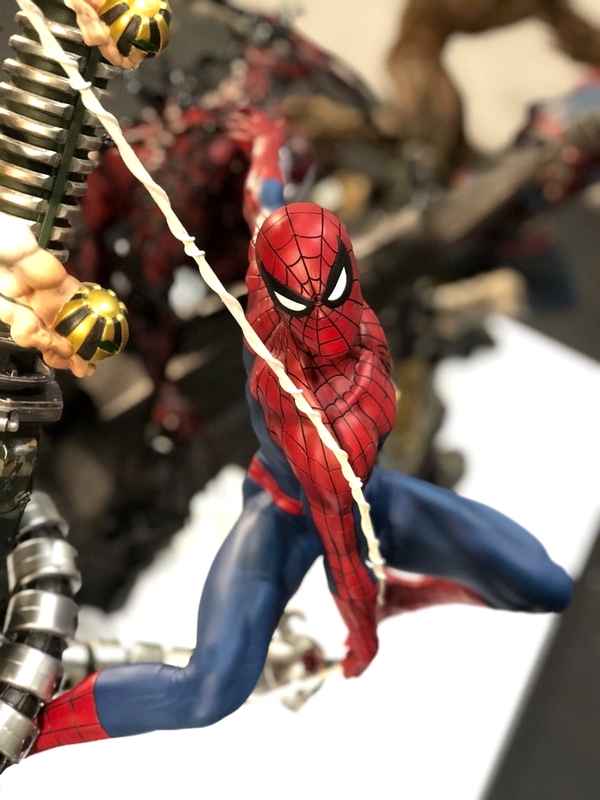 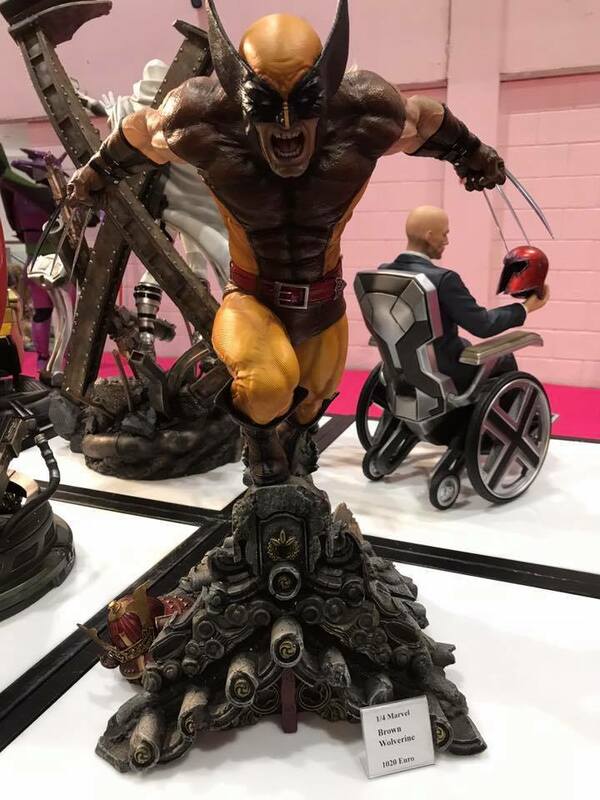 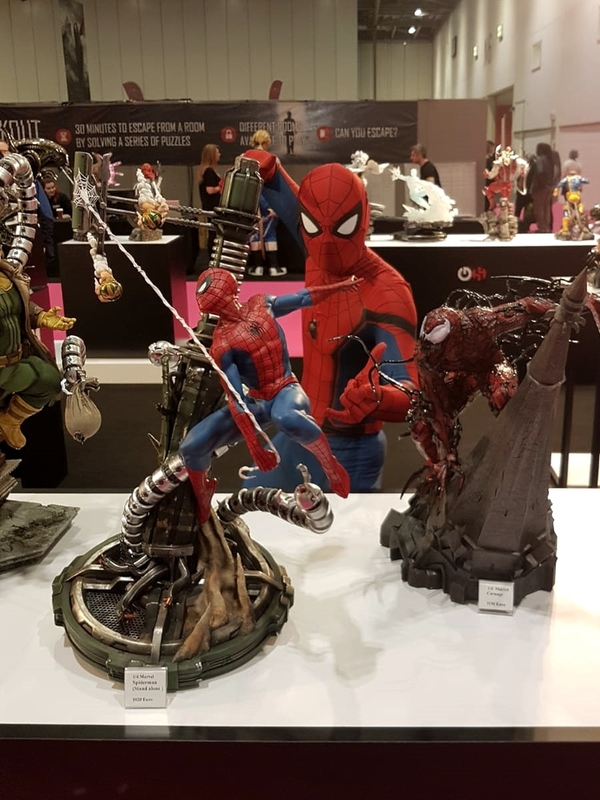 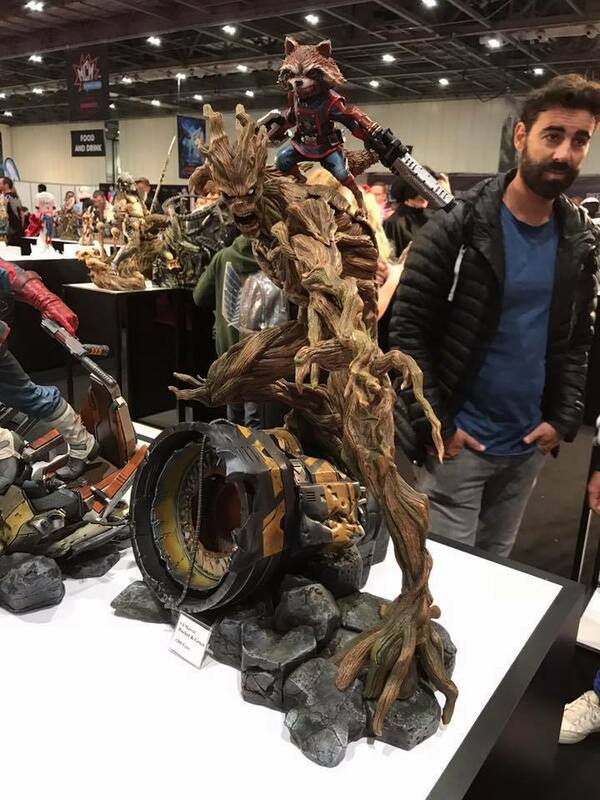 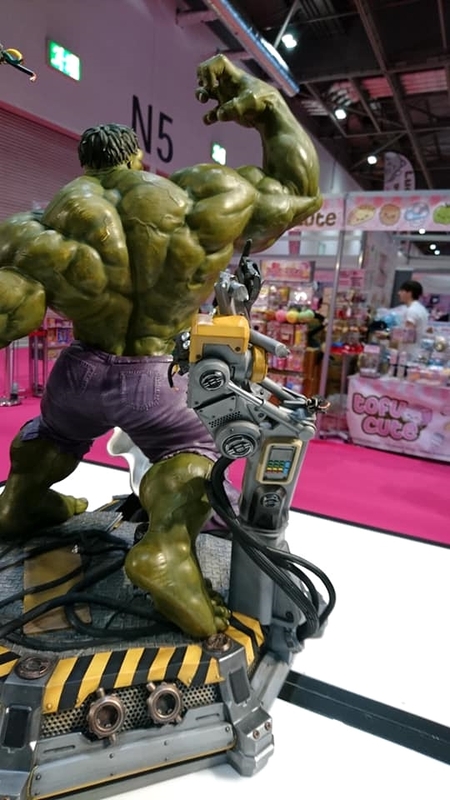 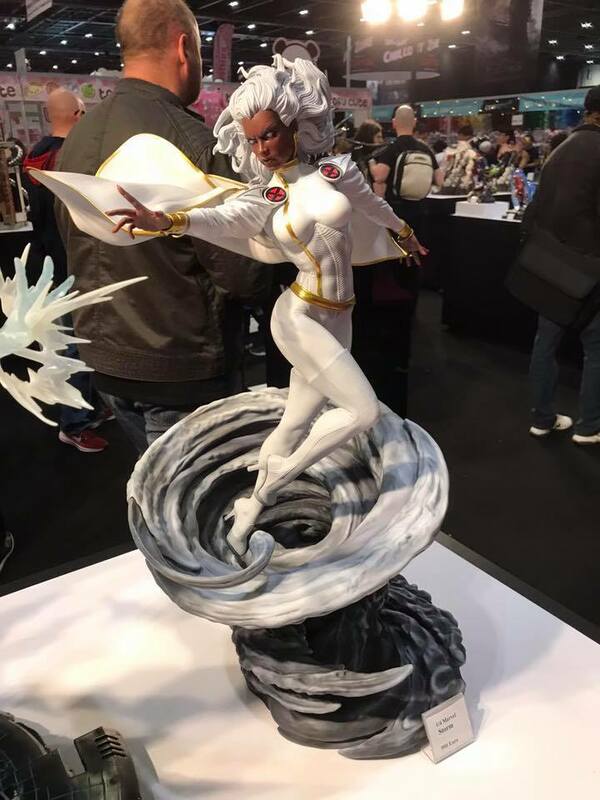 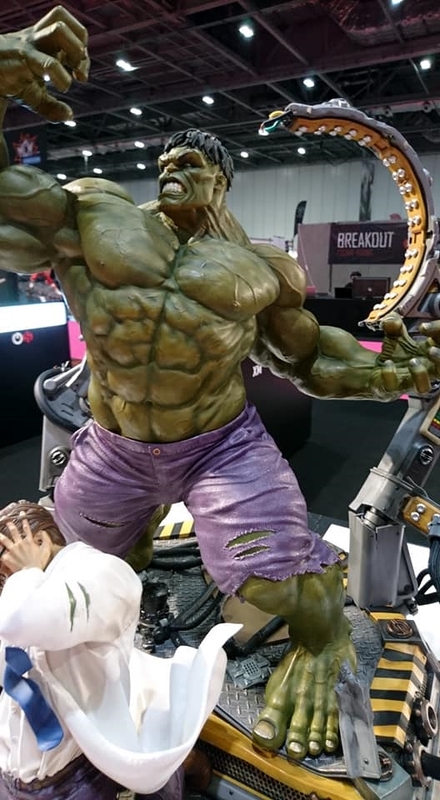 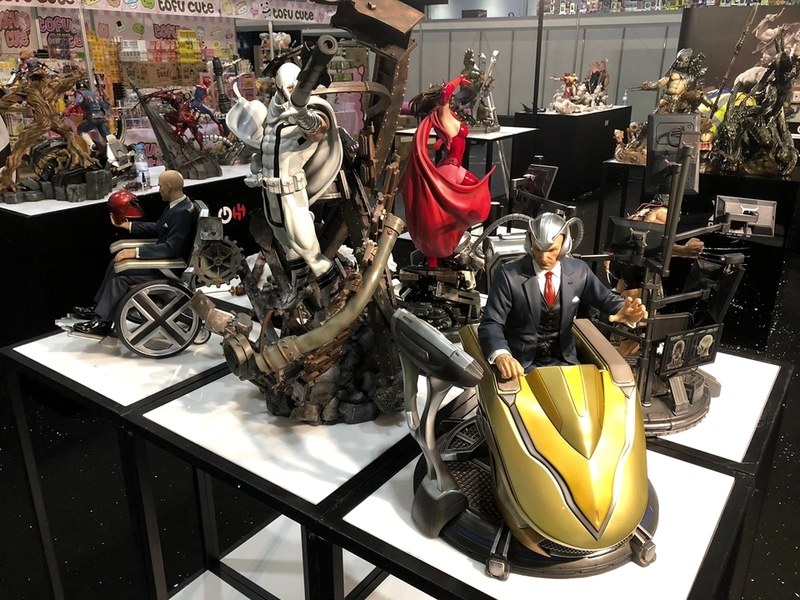 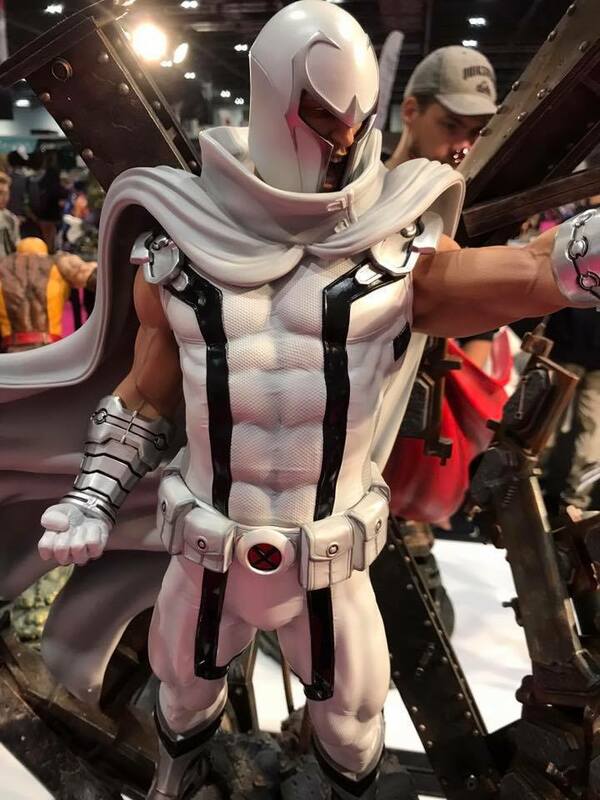 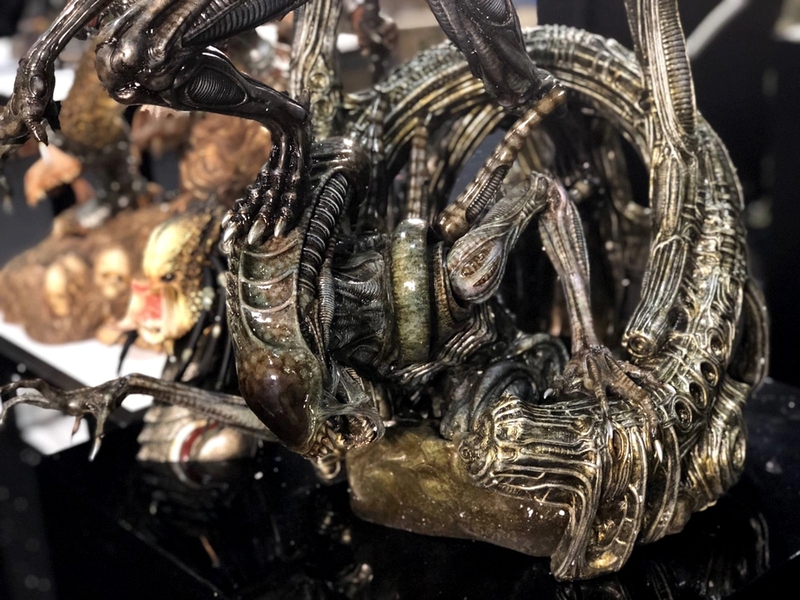 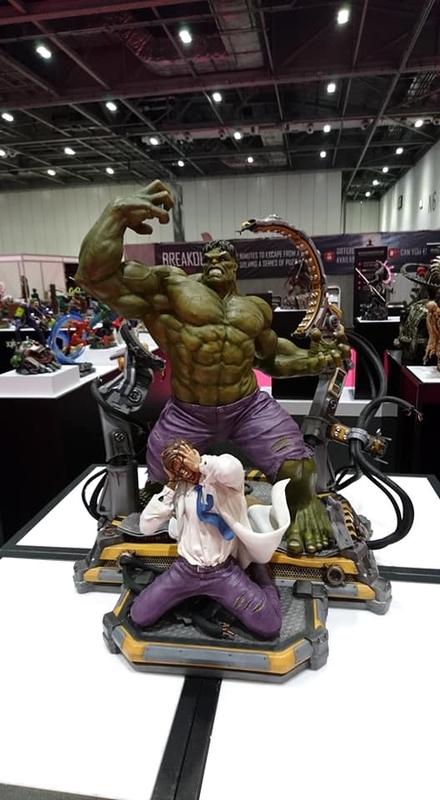 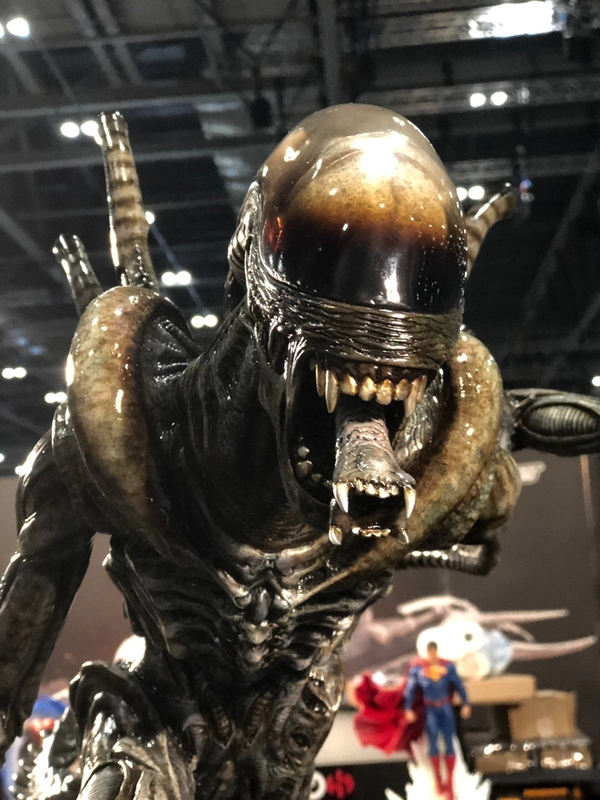 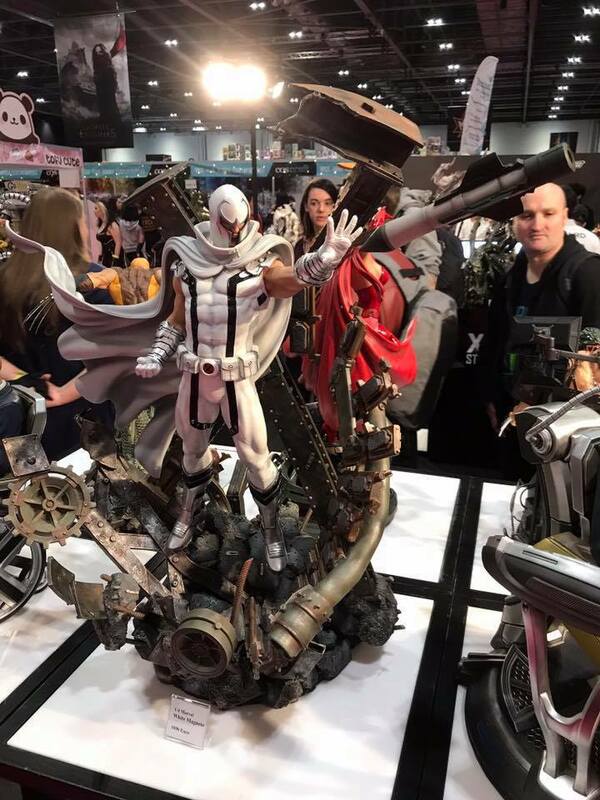 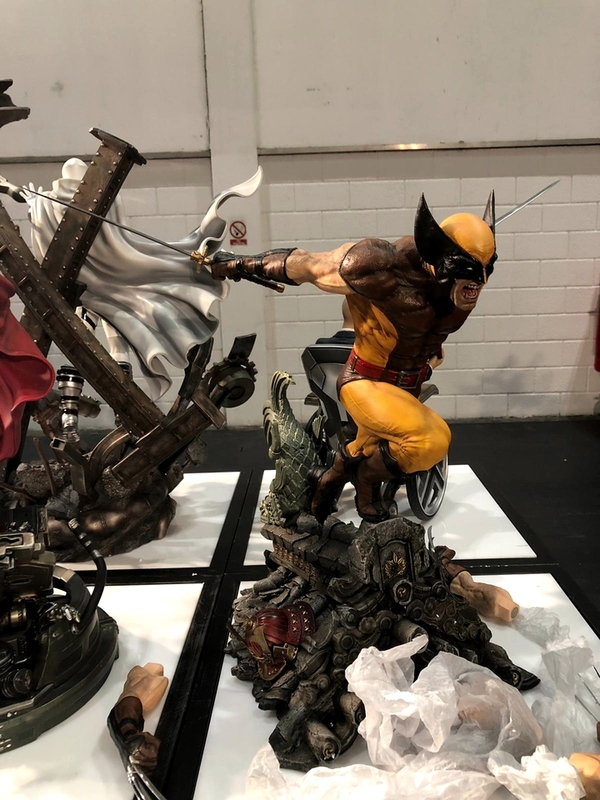 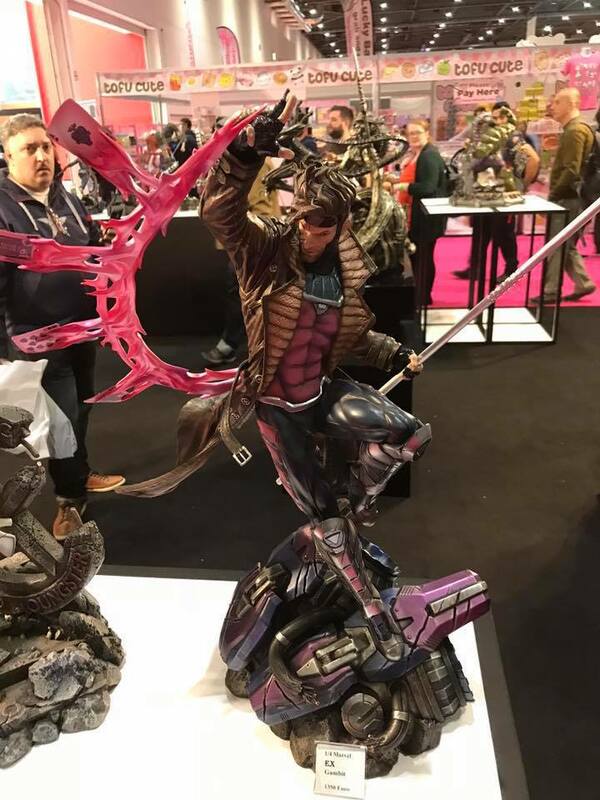 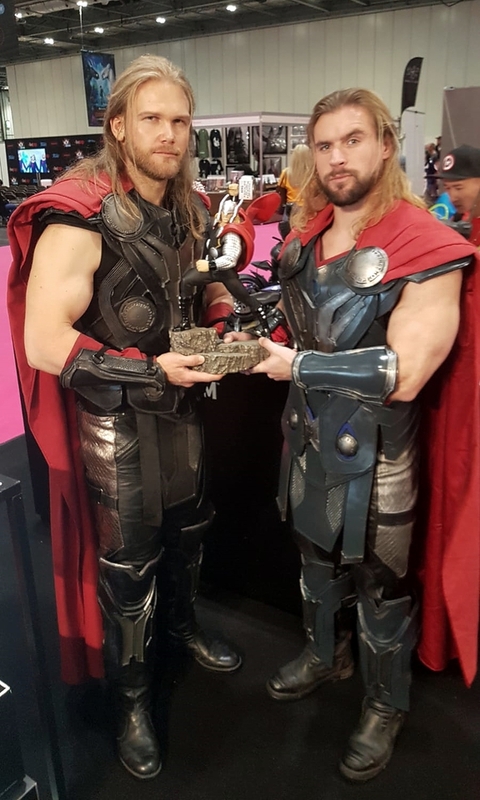 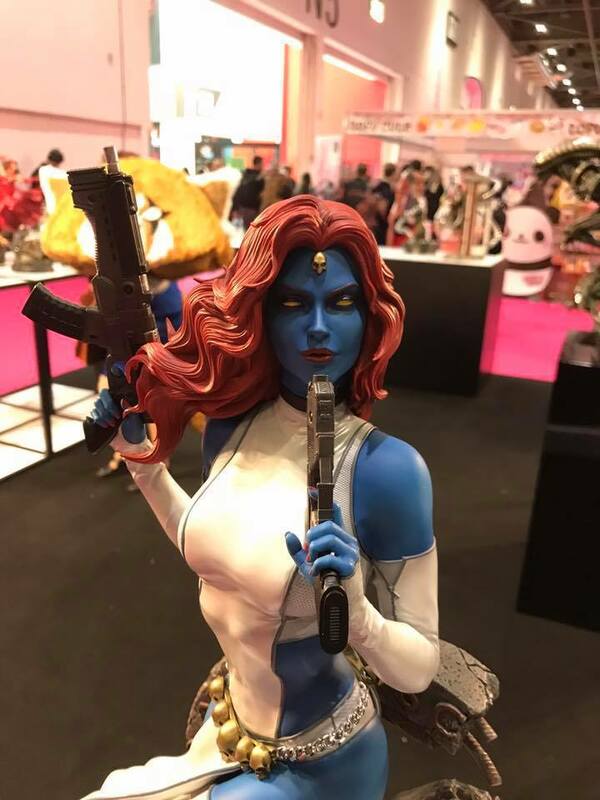 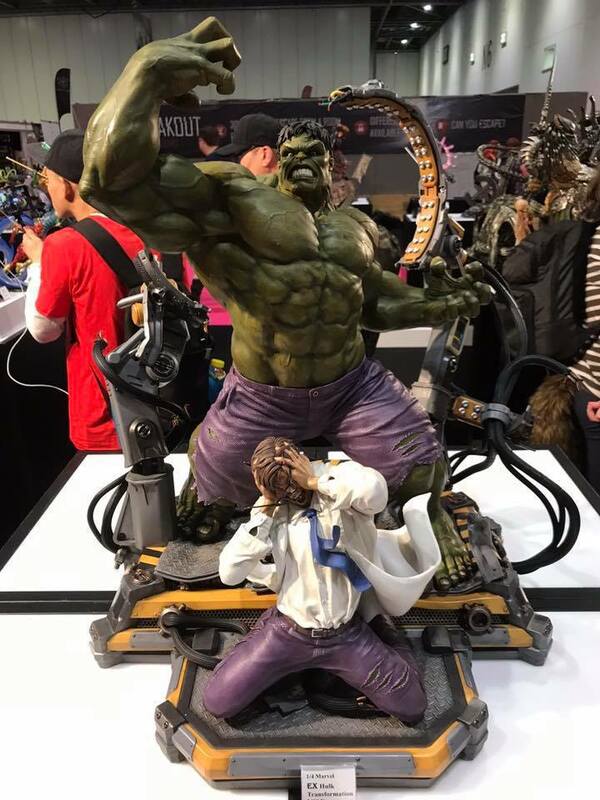 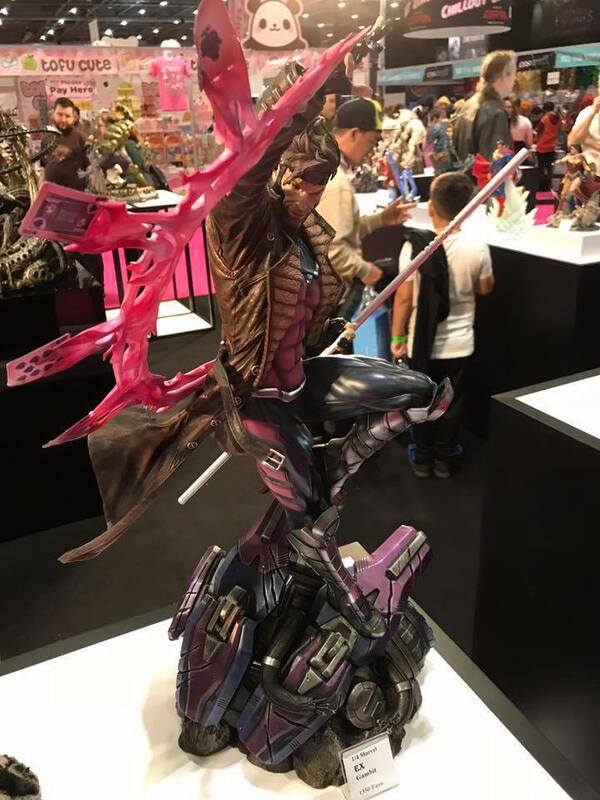 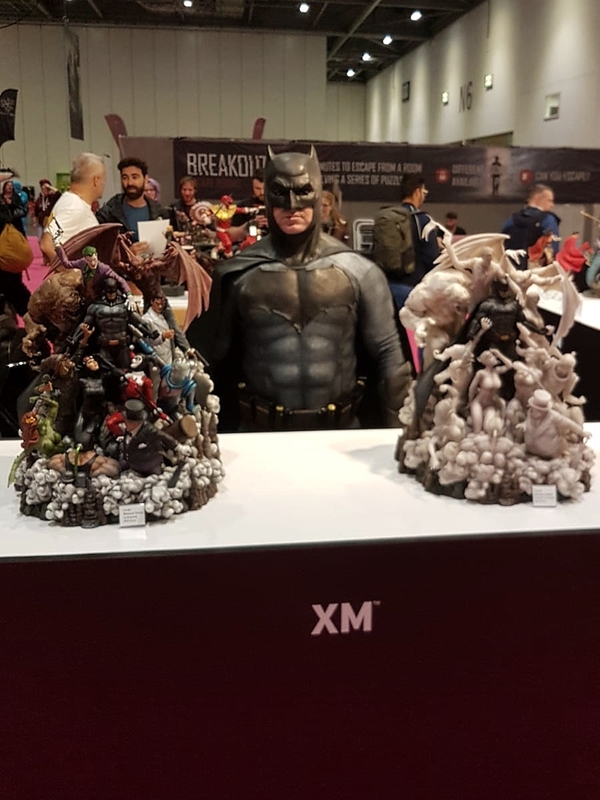 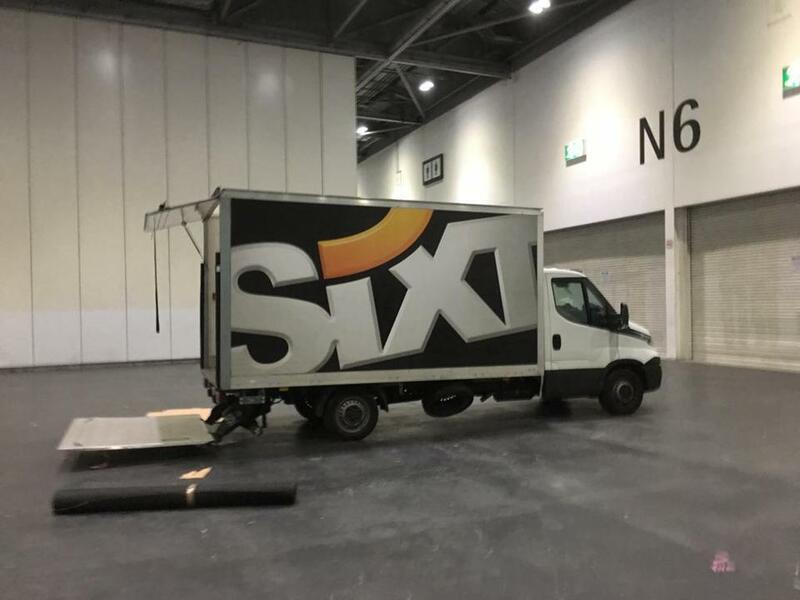 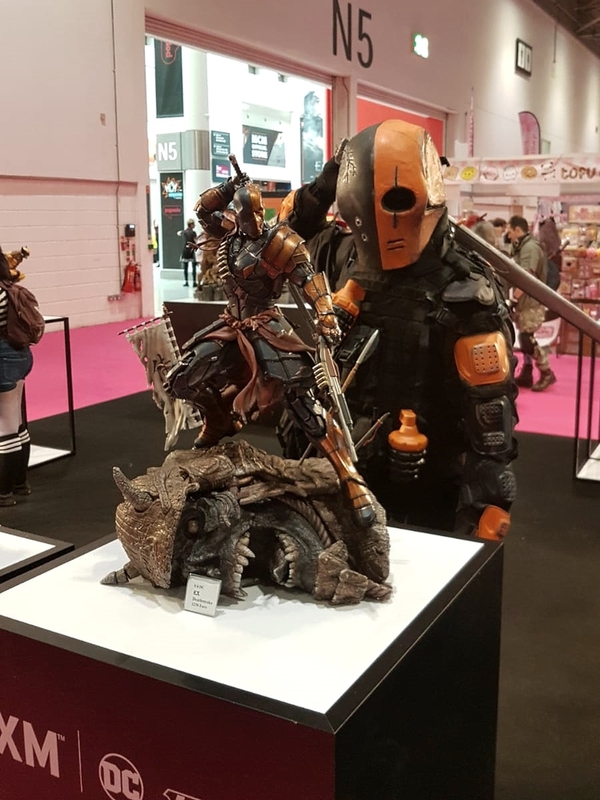 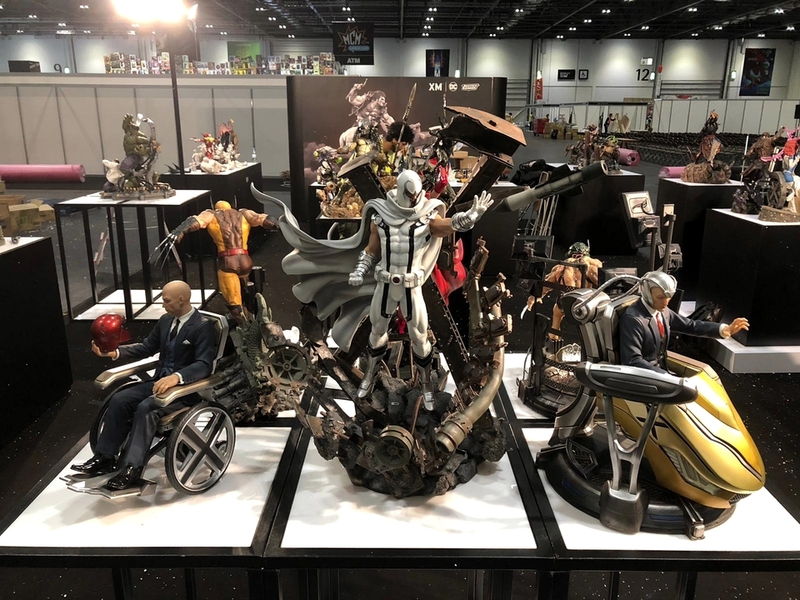 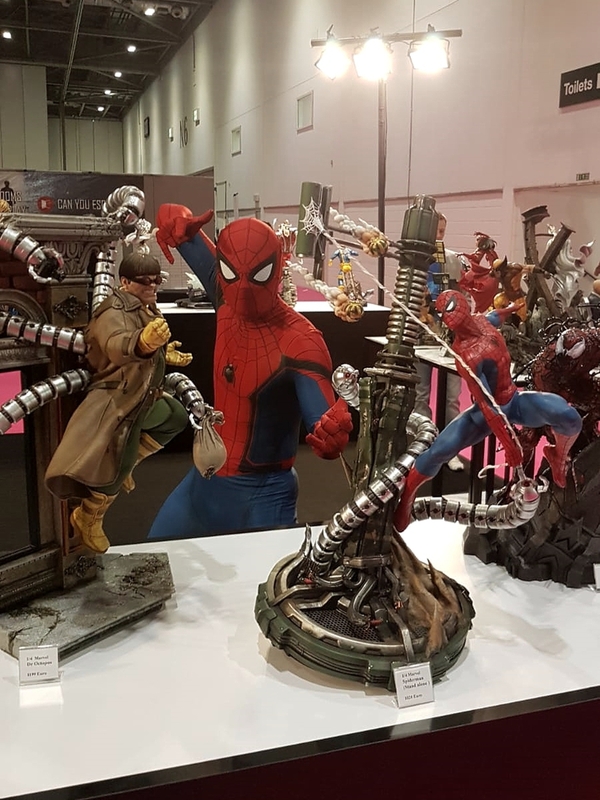 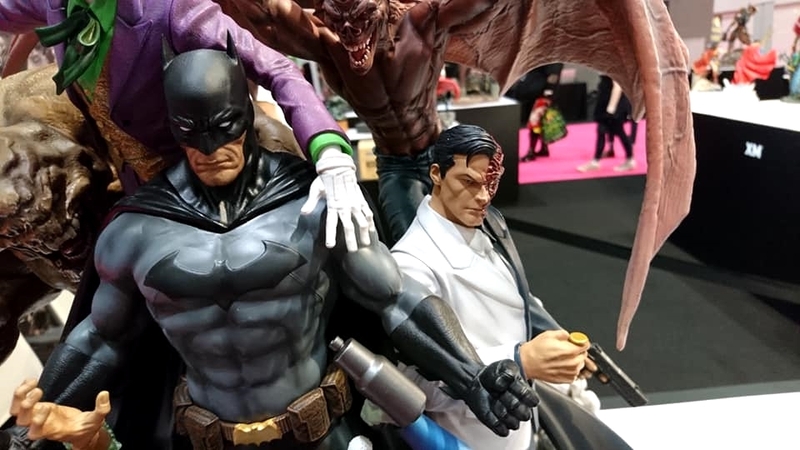 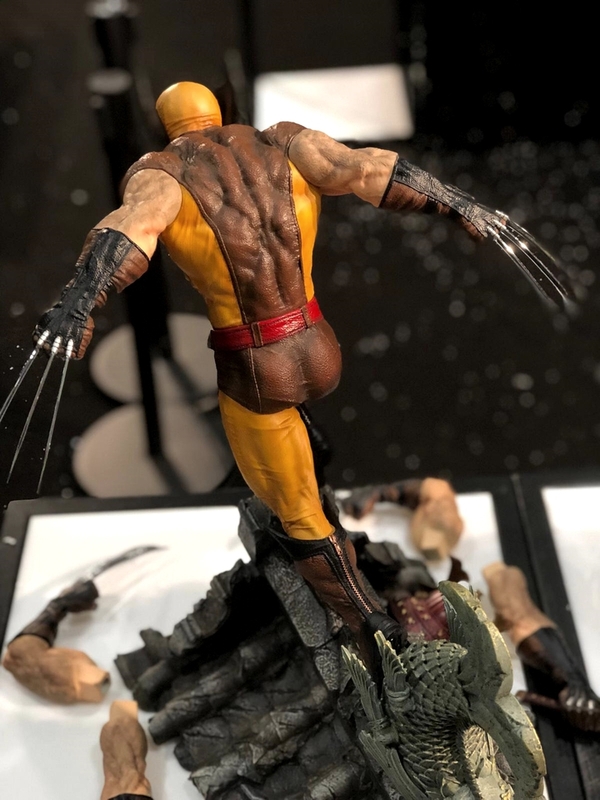 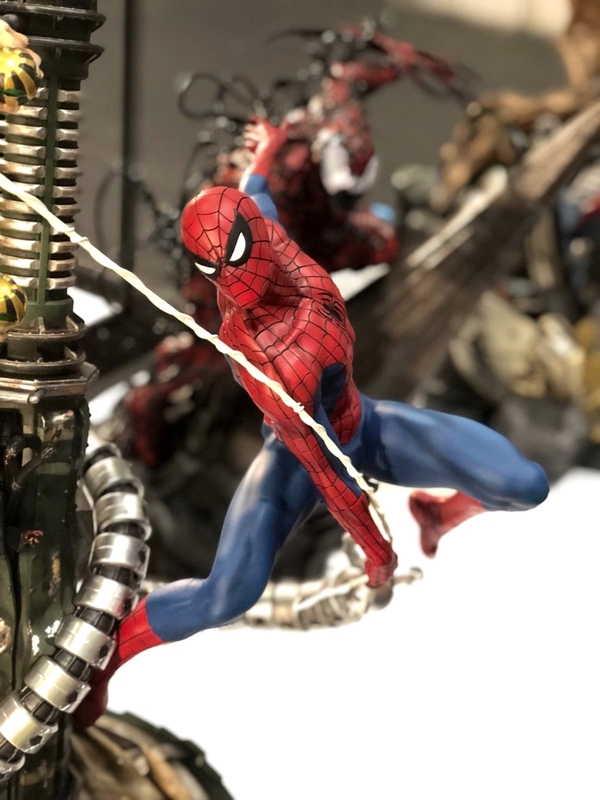 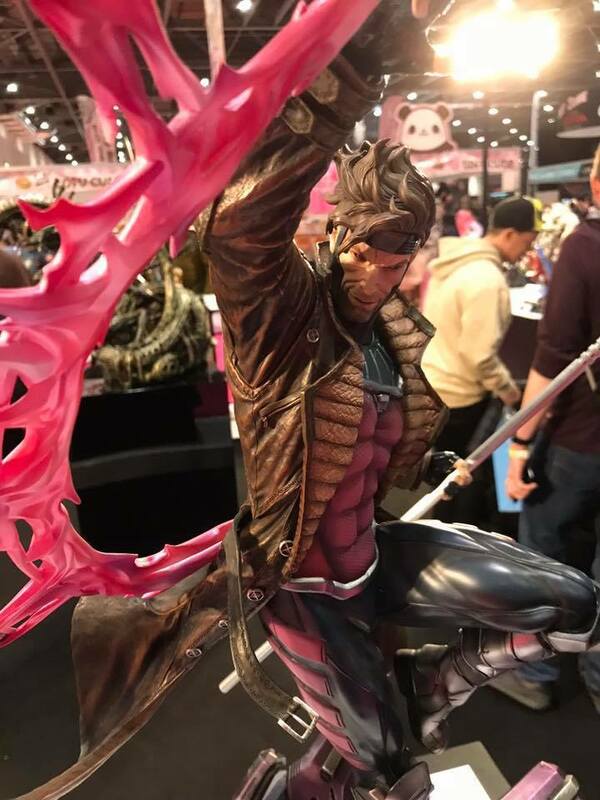 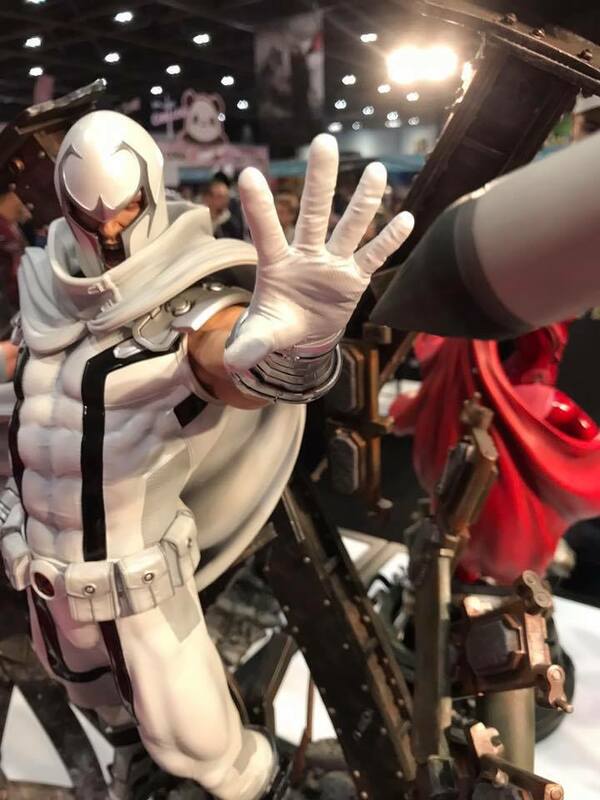 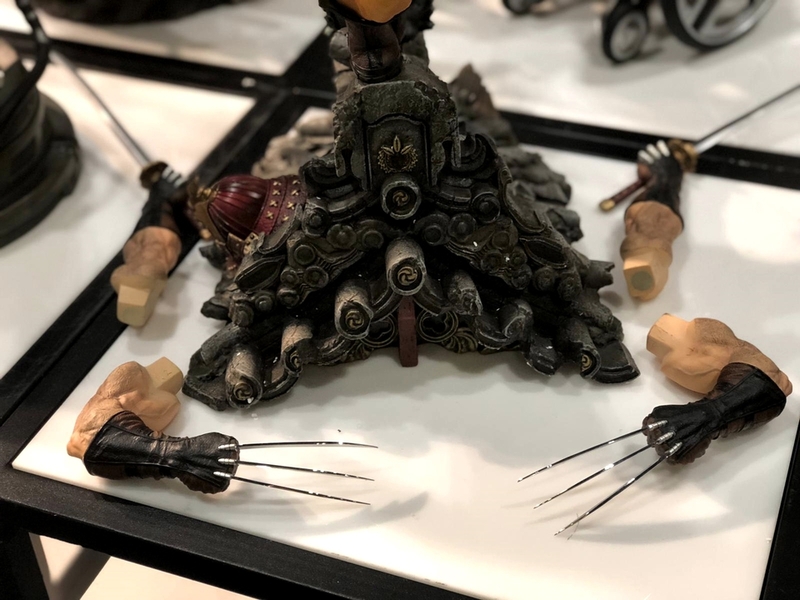 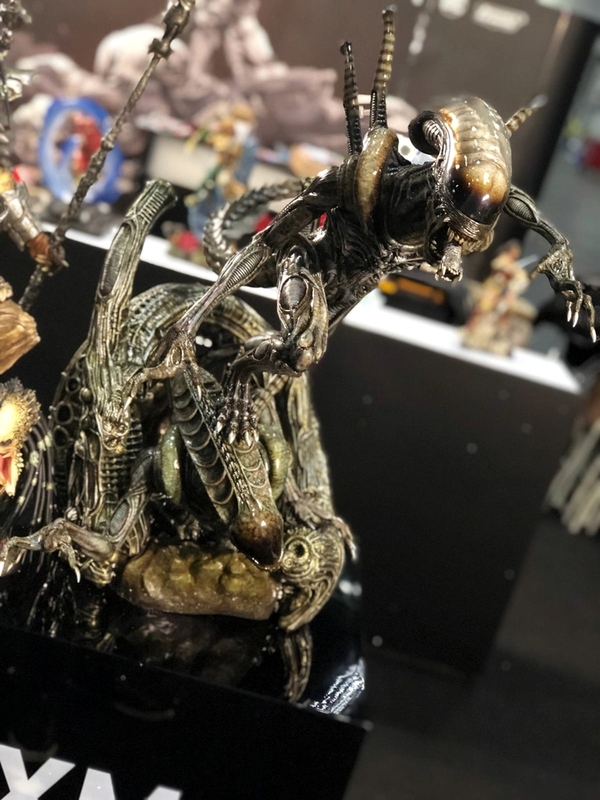 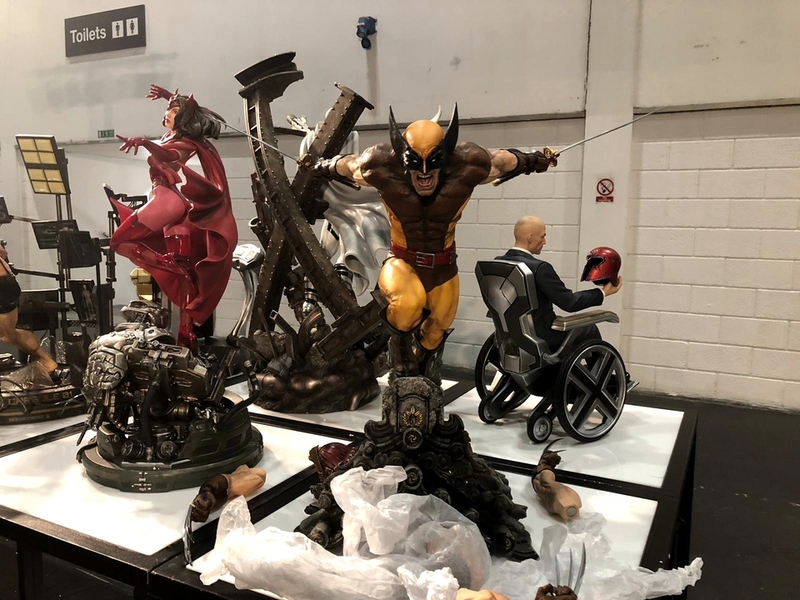 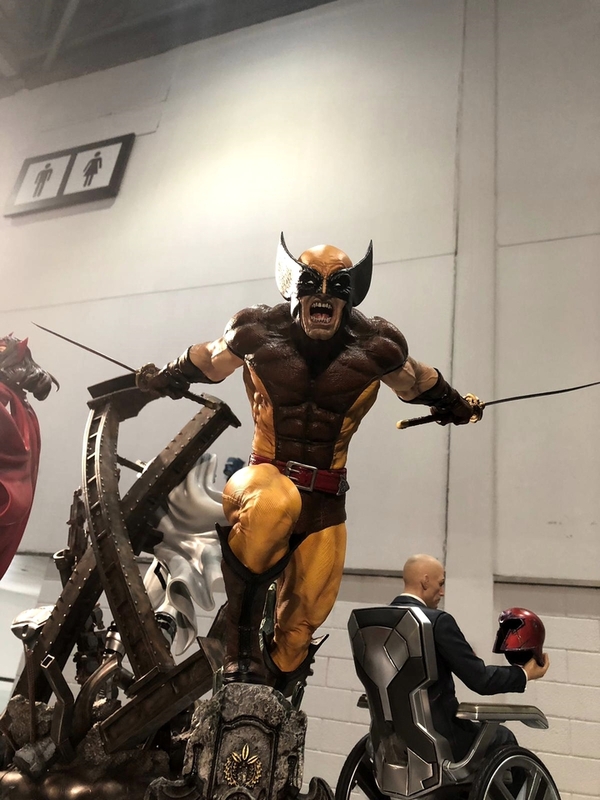 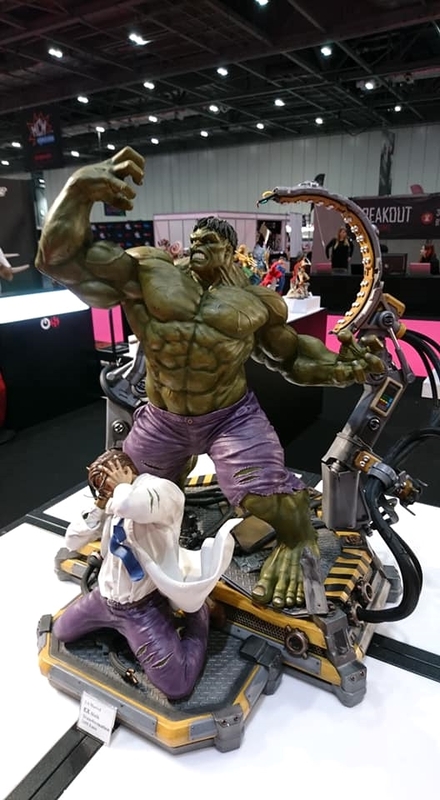 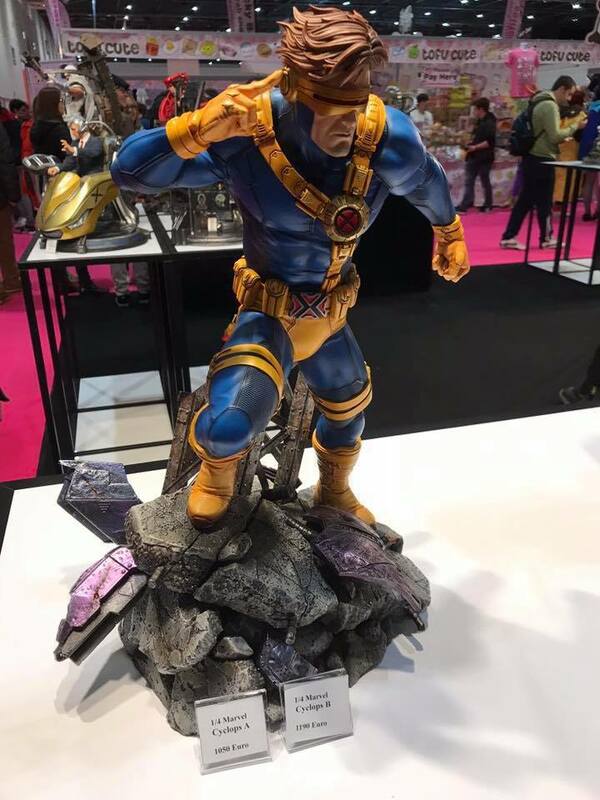 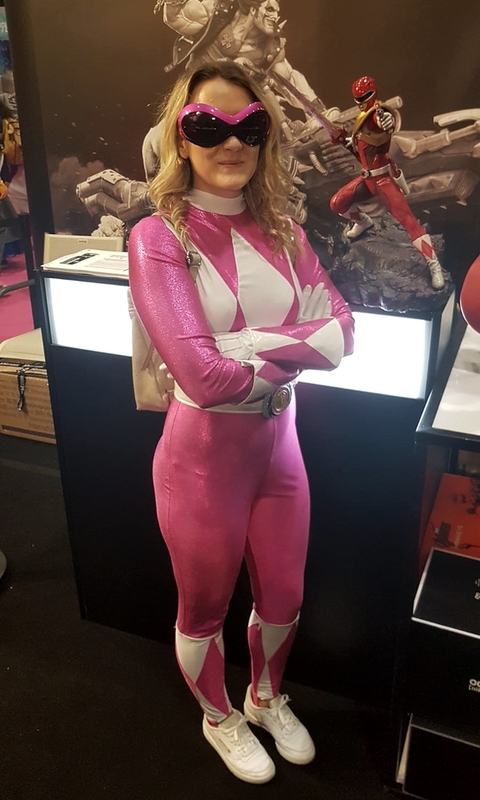 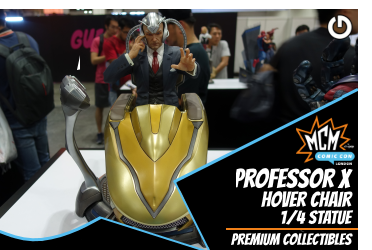 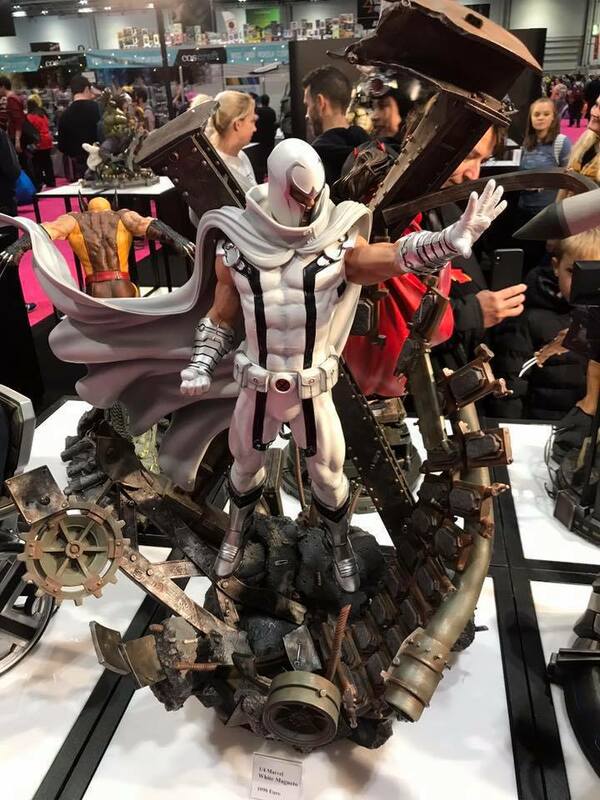 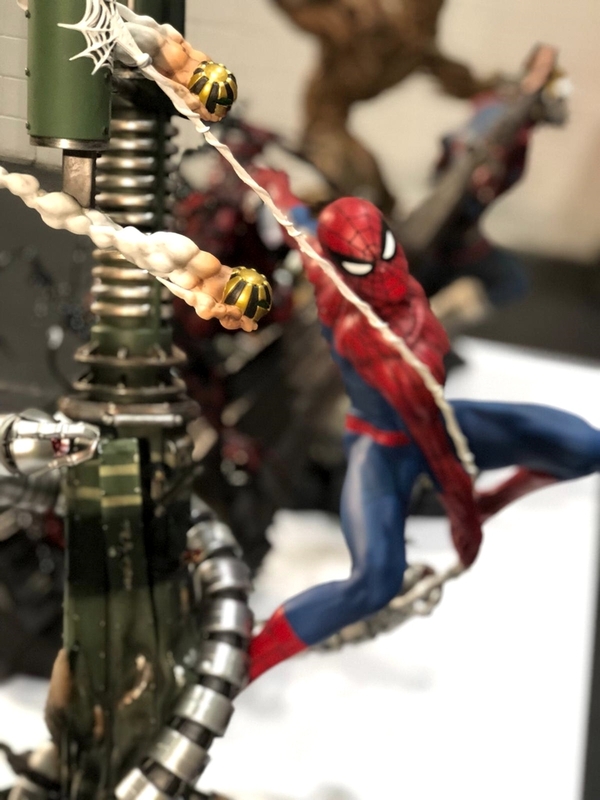 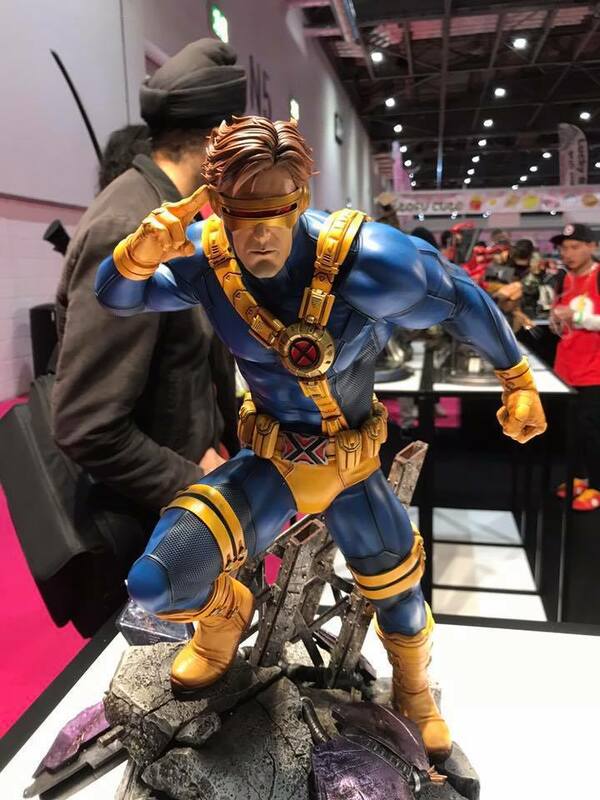 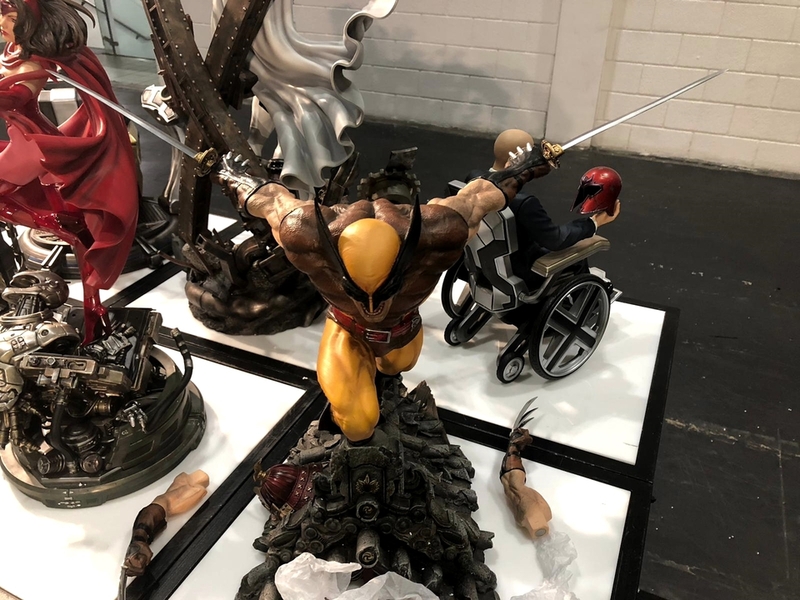 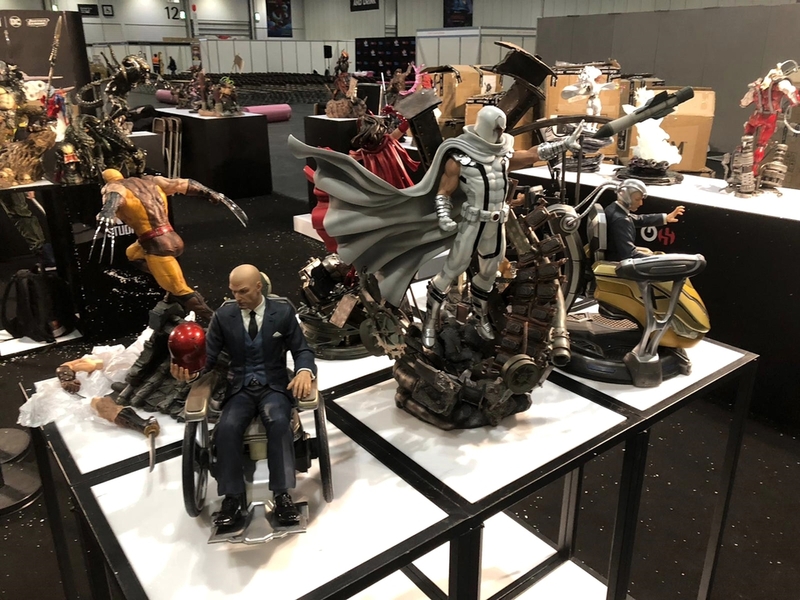 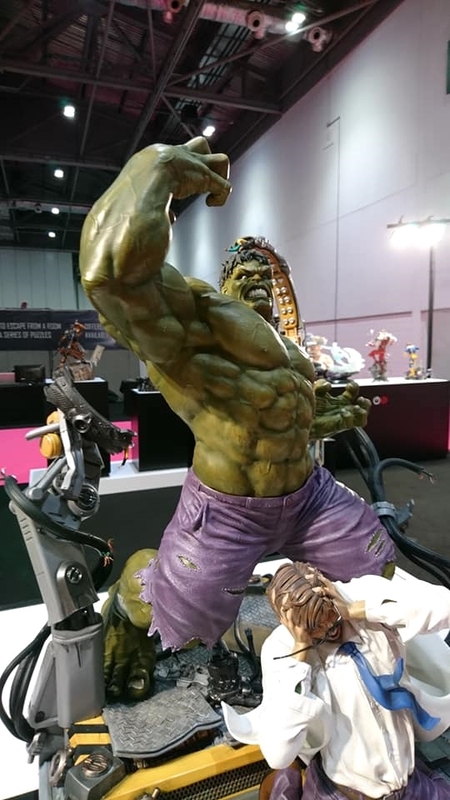 "Pictures from the second day at MCM London Comic Con 2018. 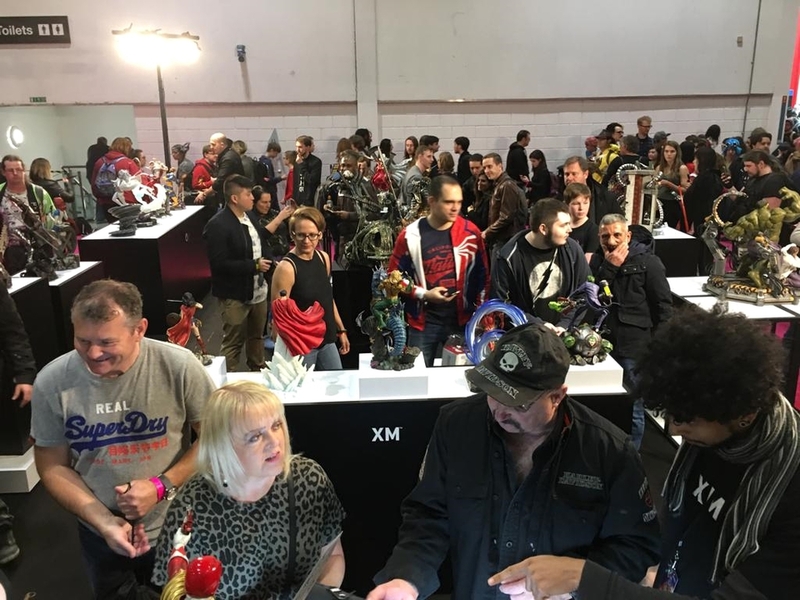 We met many collectors. 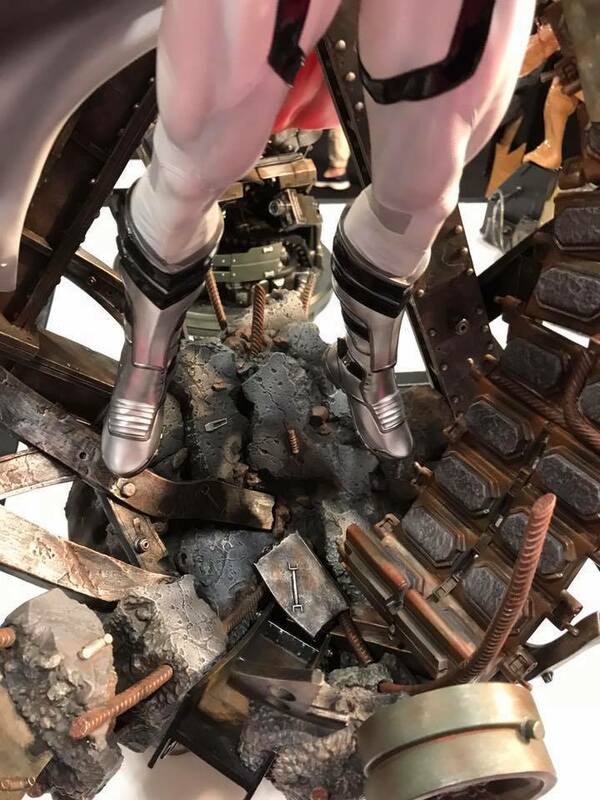 Today is the last day. 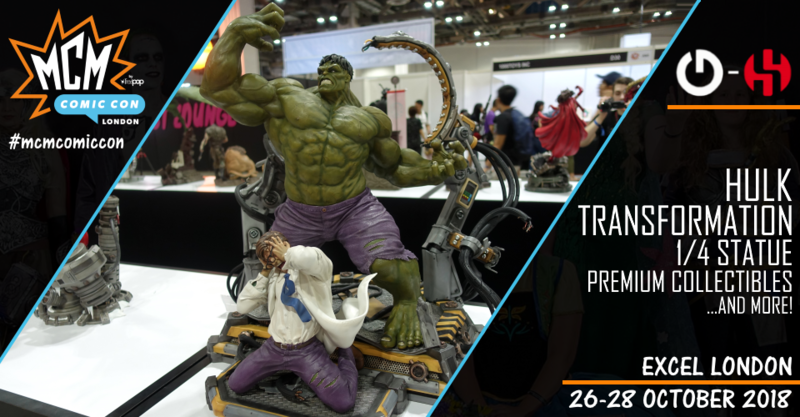 Visit us at the North Event Halls (5) on booth N1800, you are welcome!" 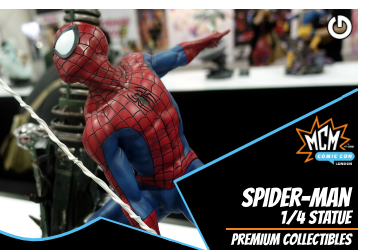 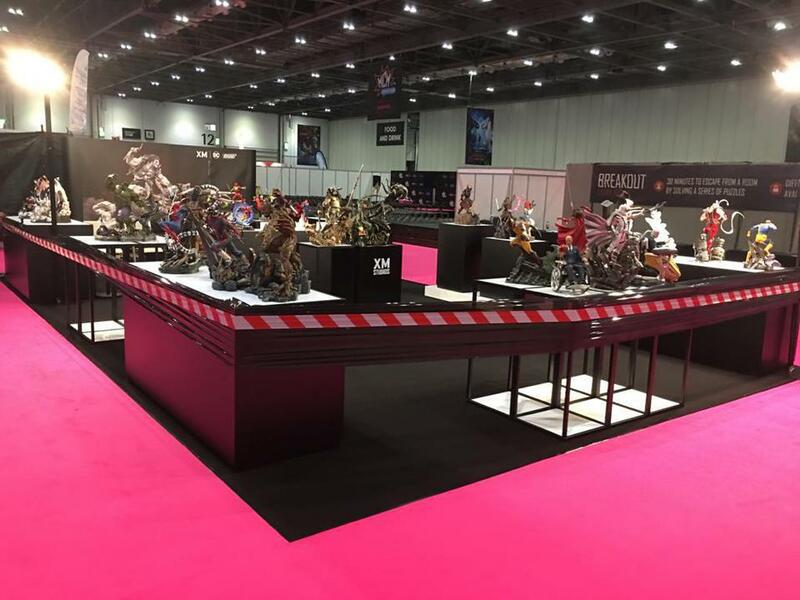 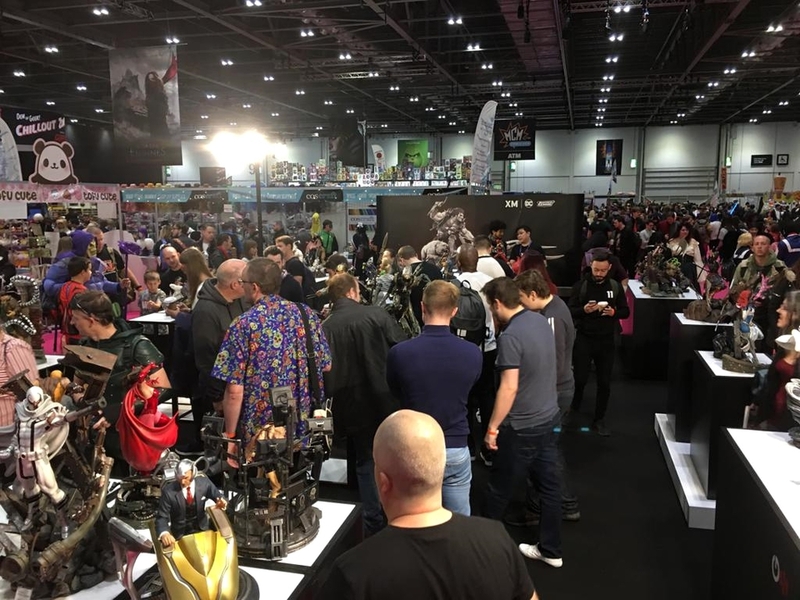 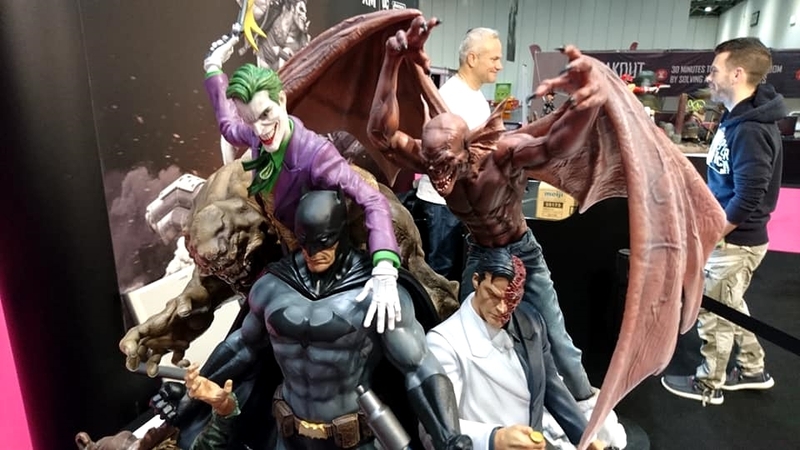 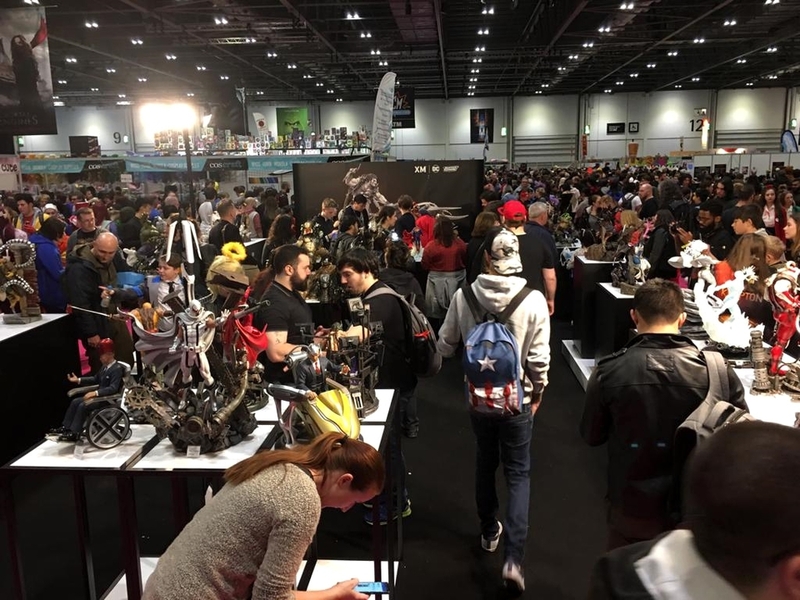 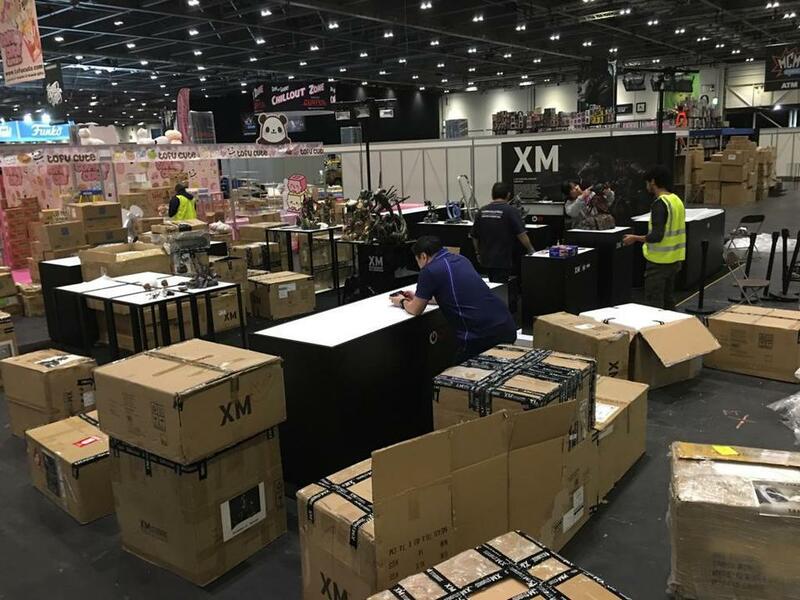 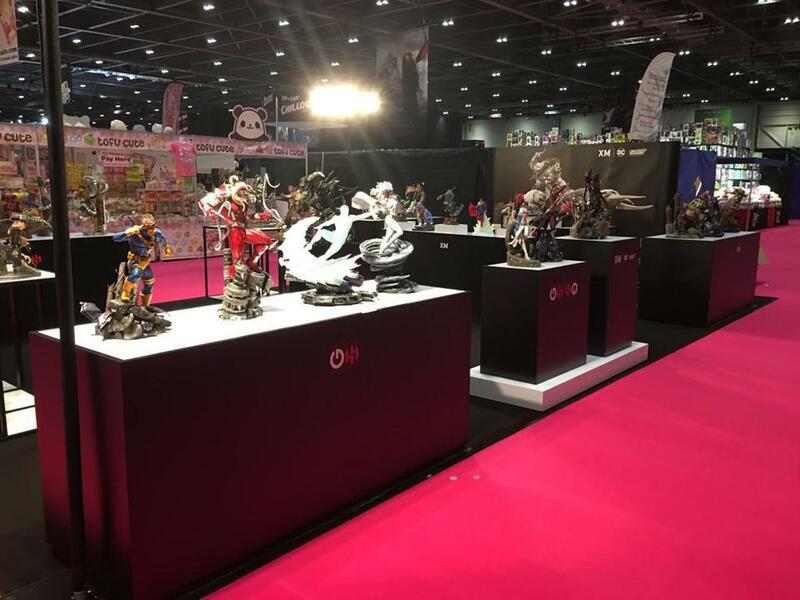 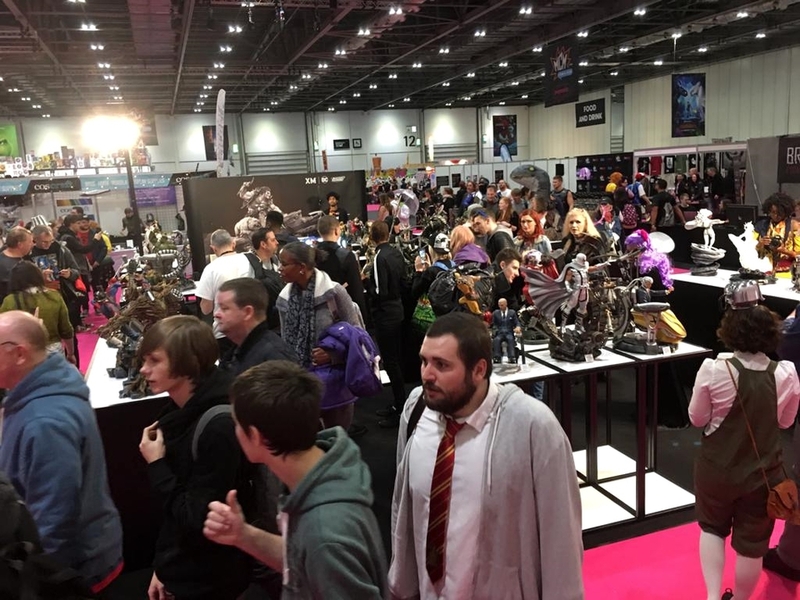 "Final day and hours at the MCM London Comic Con 2018. 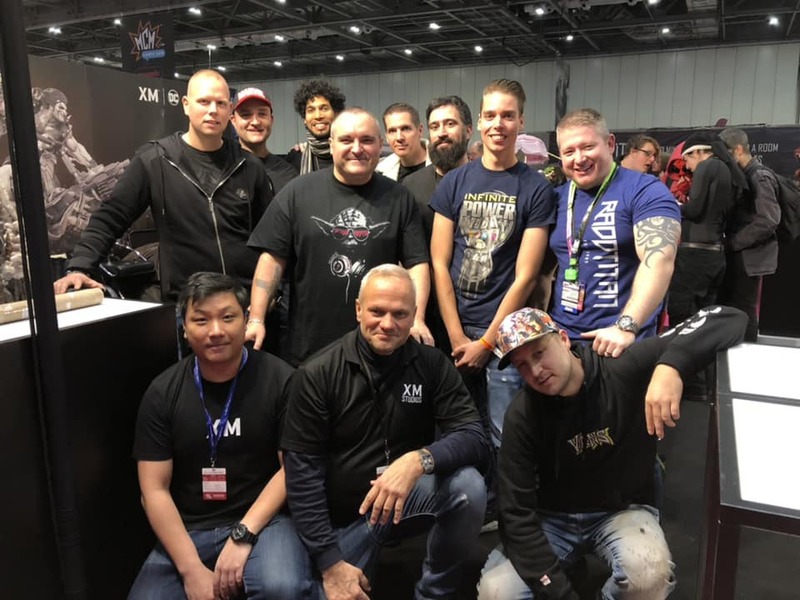 Great days with many new friends, was a pleasure. 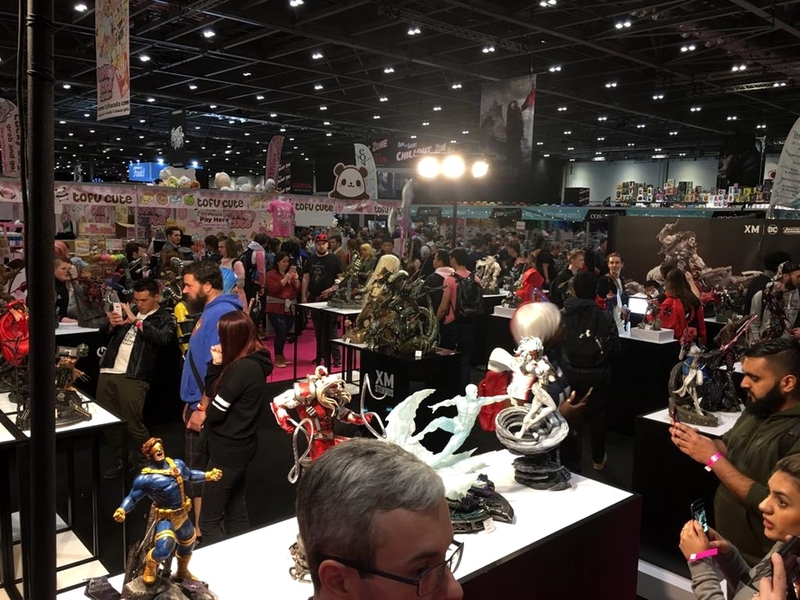 Now we are on the way to Lucca Comics & Games 2018 in italy, goodbye London."